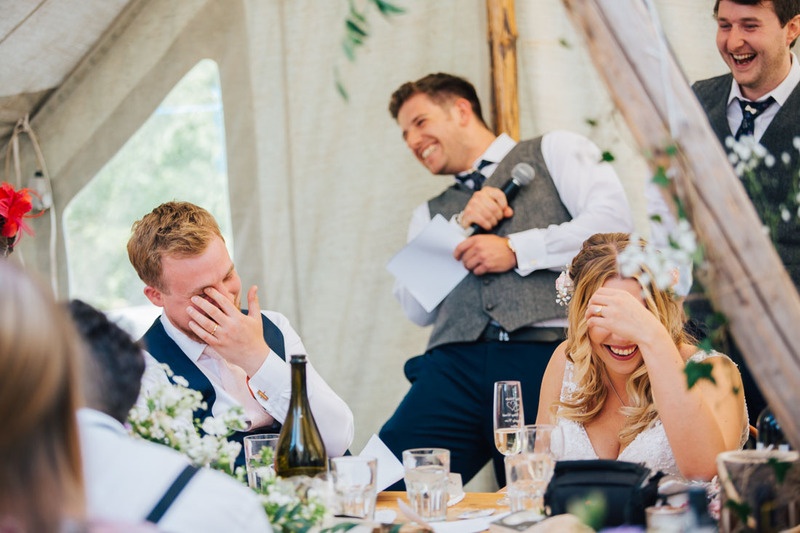 Lauren and Daniel are the most amazing, affectionate and funny couple who clearly love their family and friends so much. 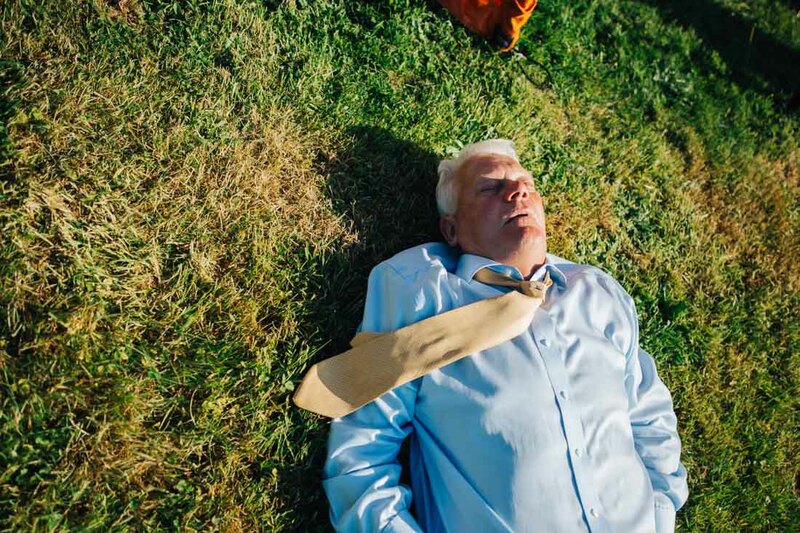 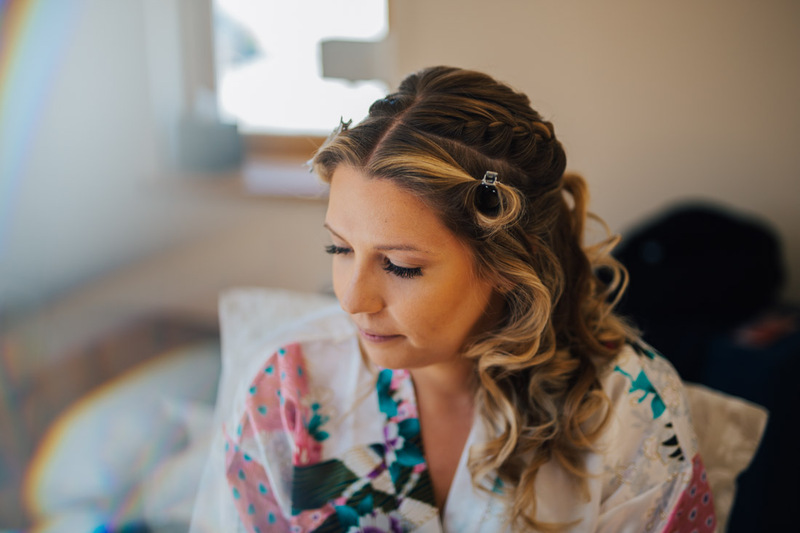 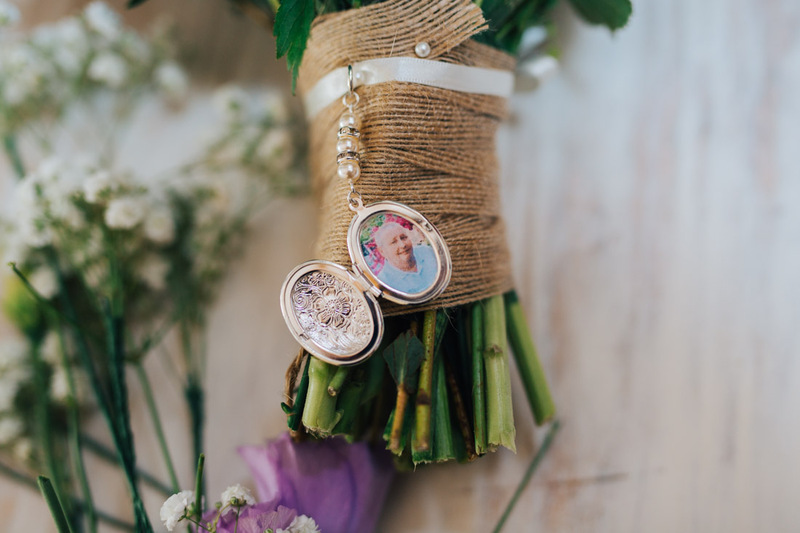 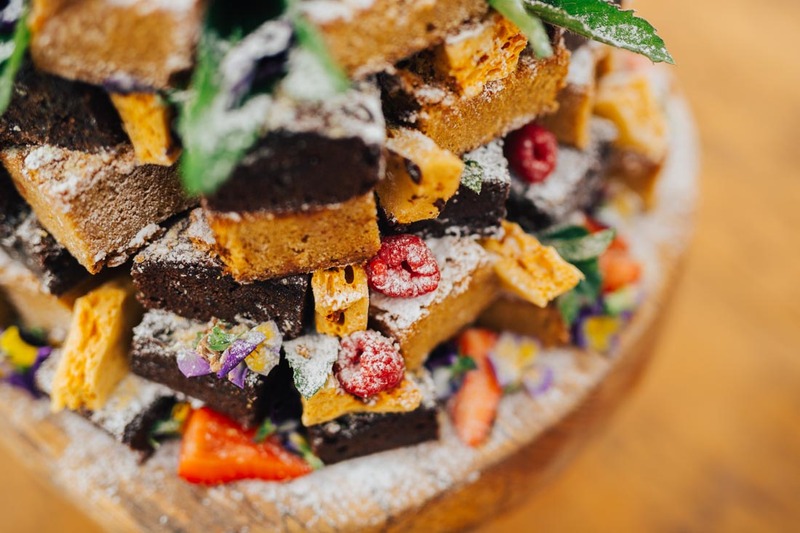 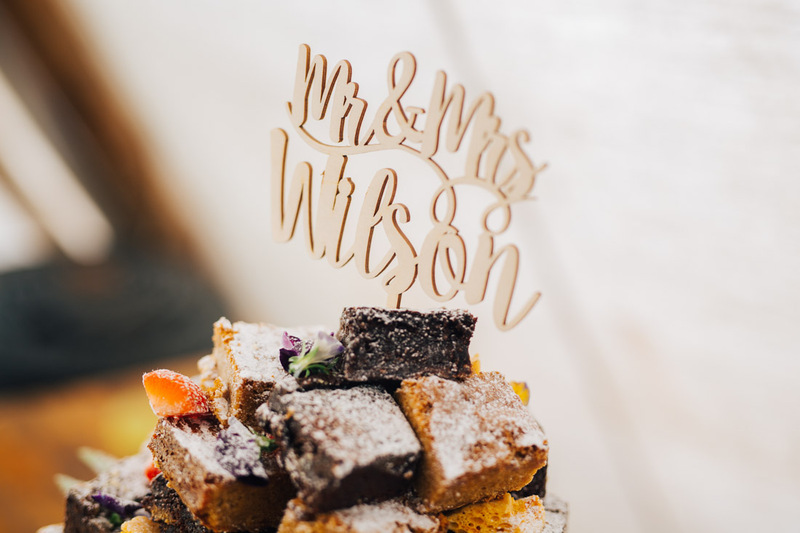 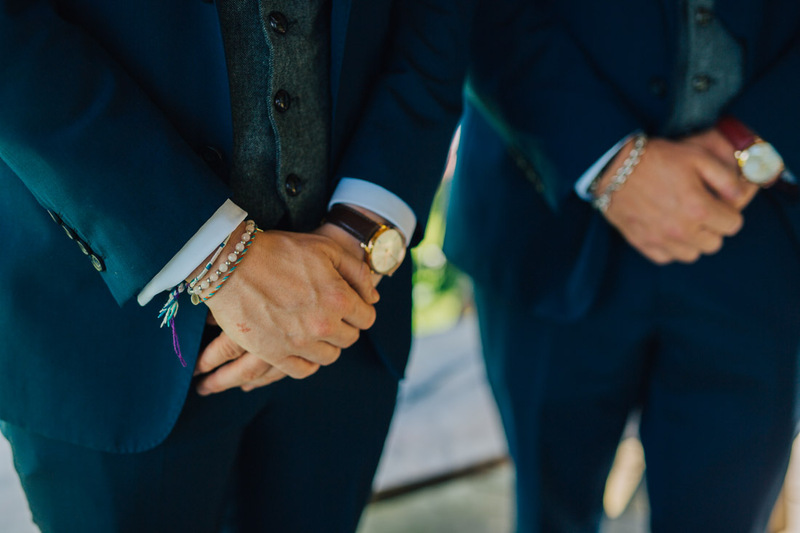 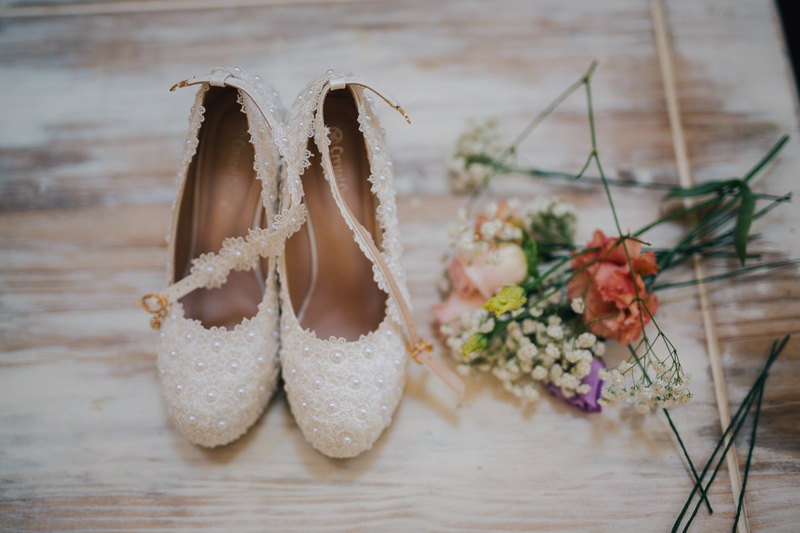 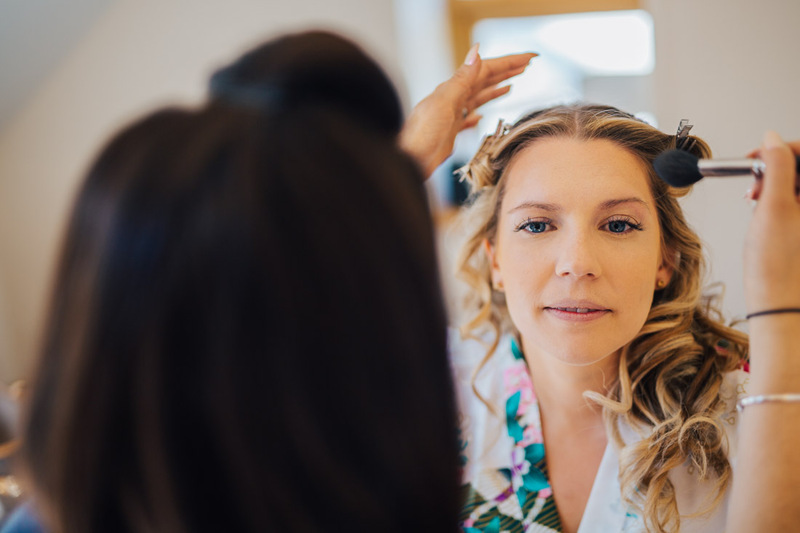 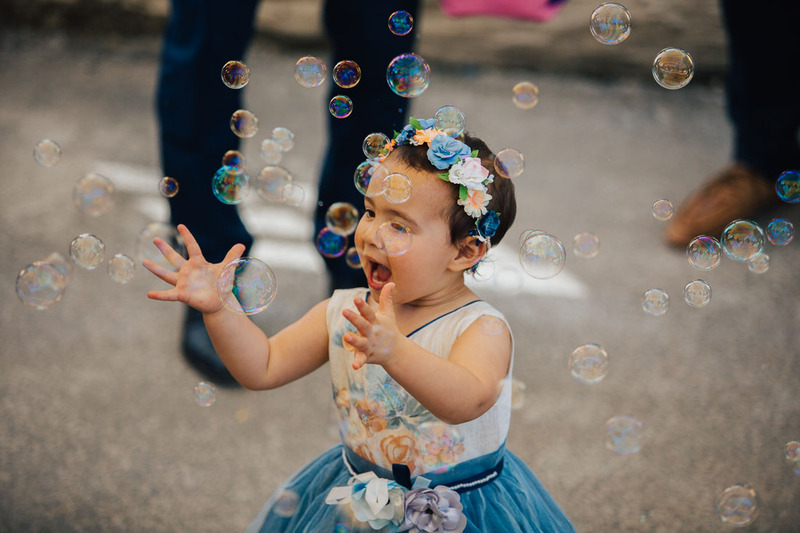 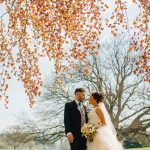 The amount of detail that went into this wedding was unreal! 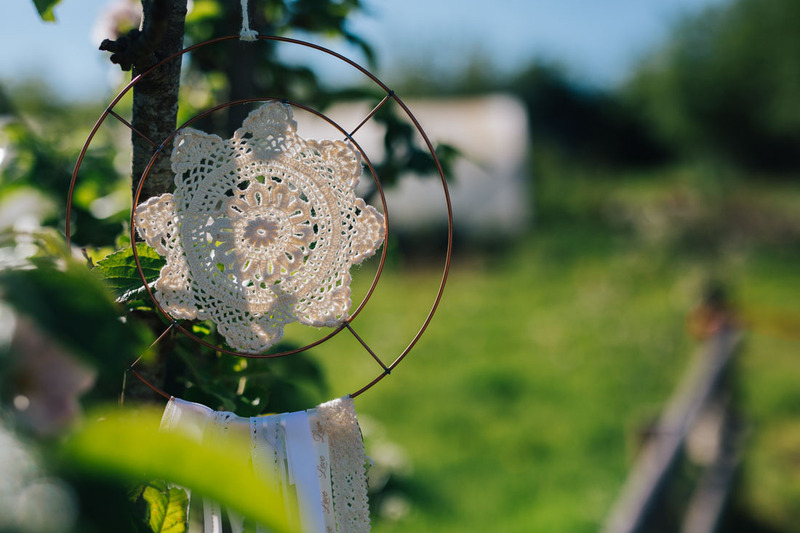 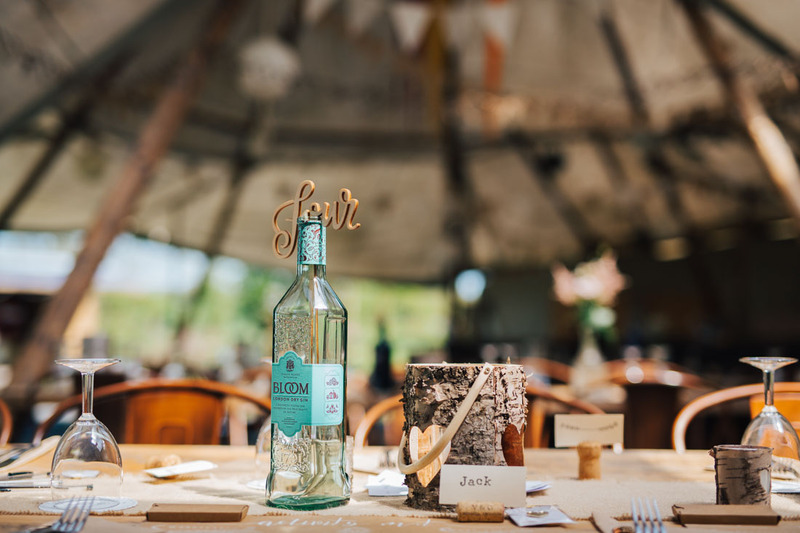 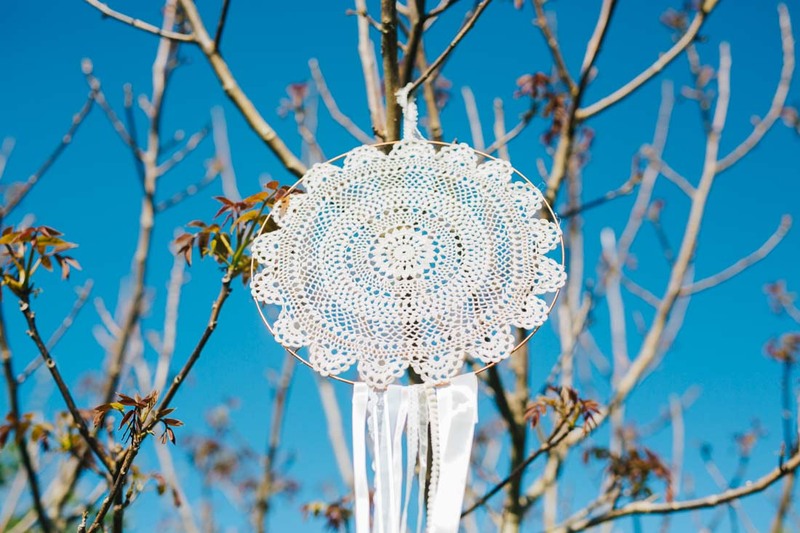 From the hand-made crochet dream catchers, the stunning flowers from Green and Wild Flowers to the collections of gin bottles that served as table decorations! 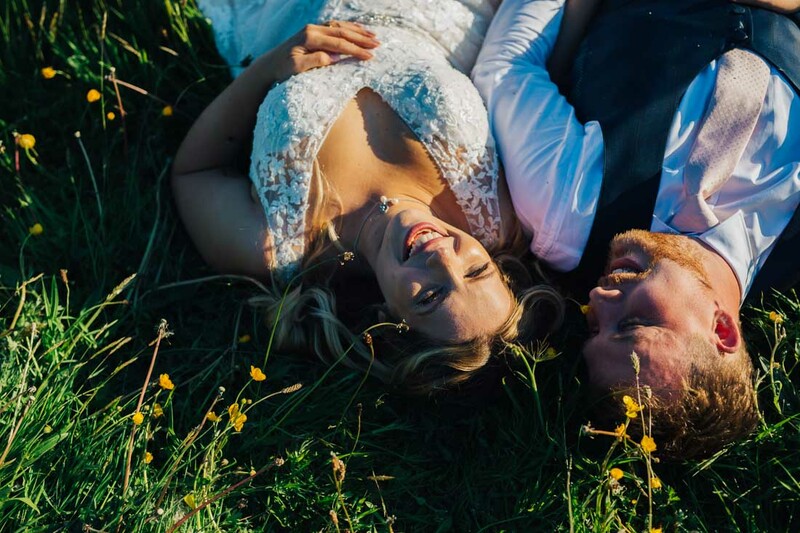 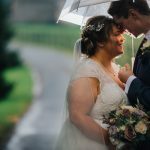 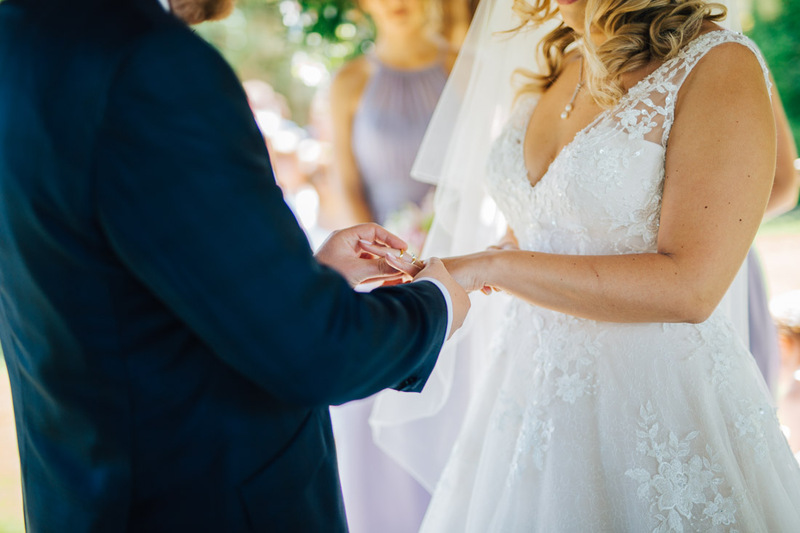 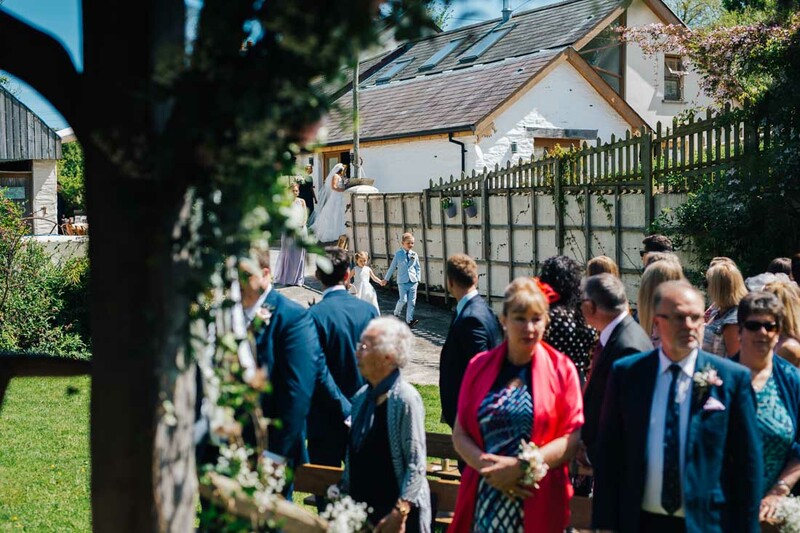 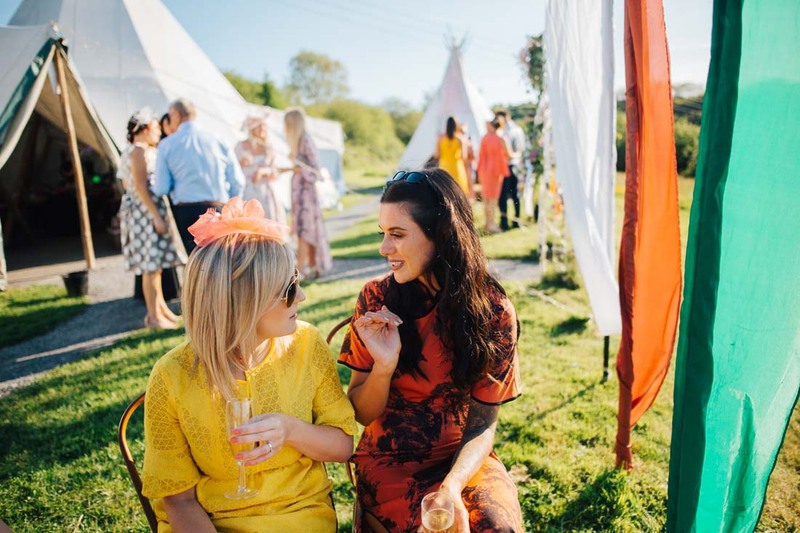 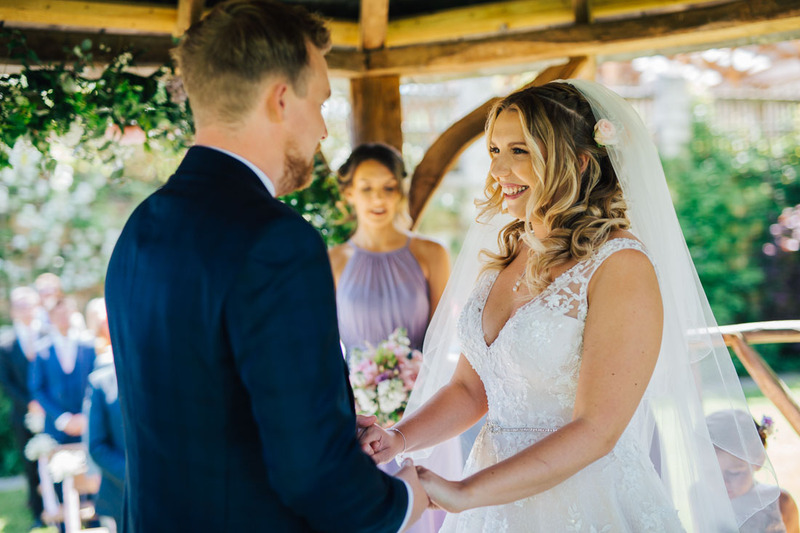 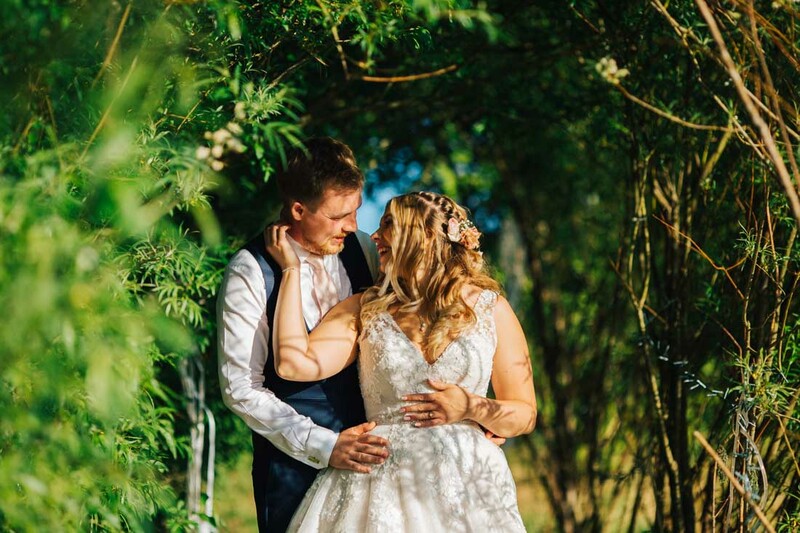 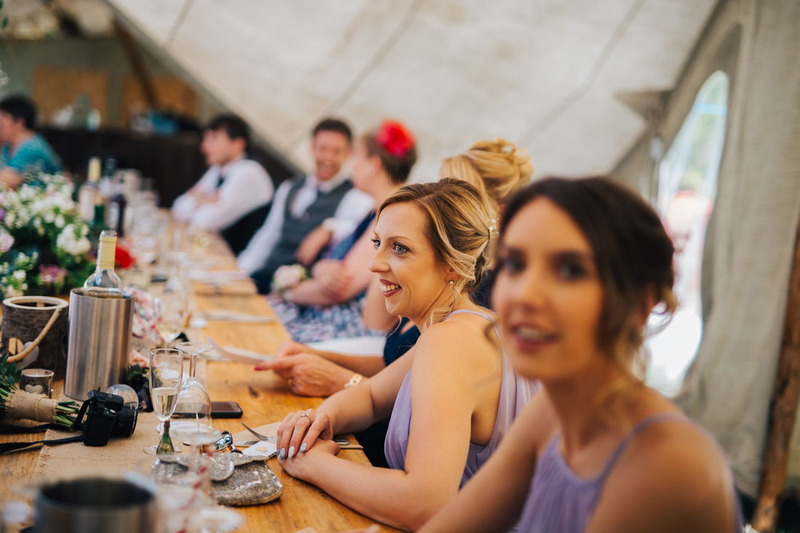 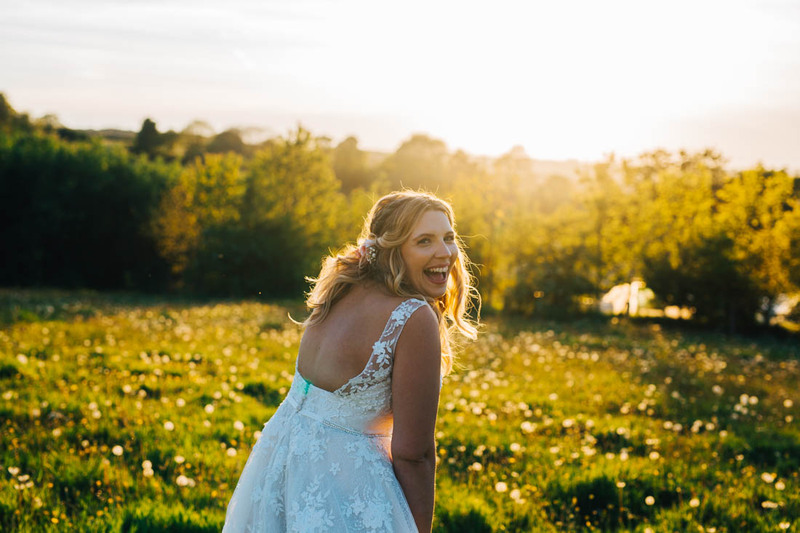 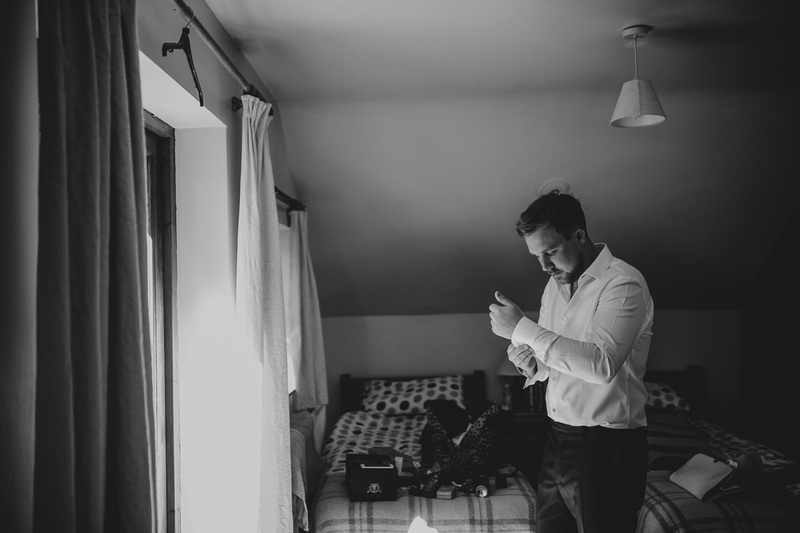 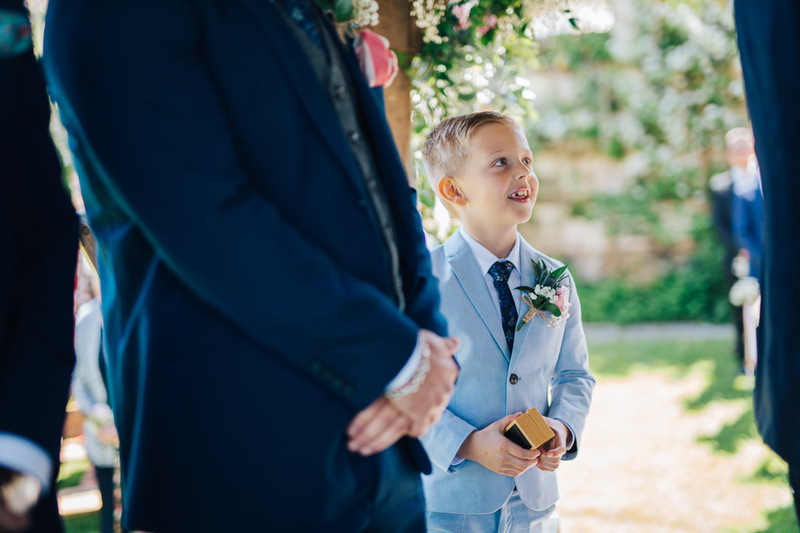 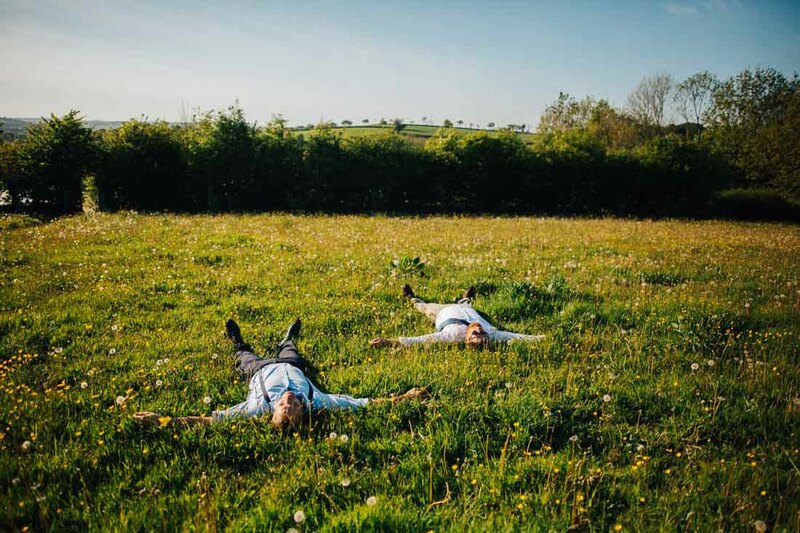 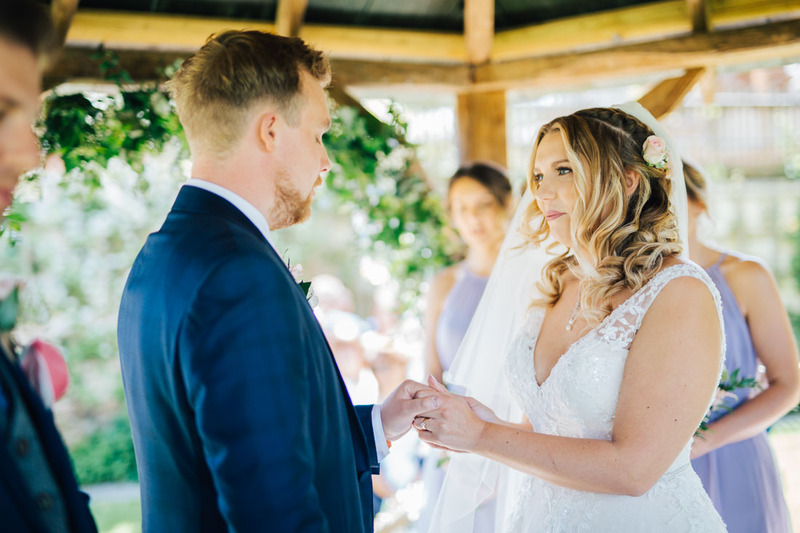 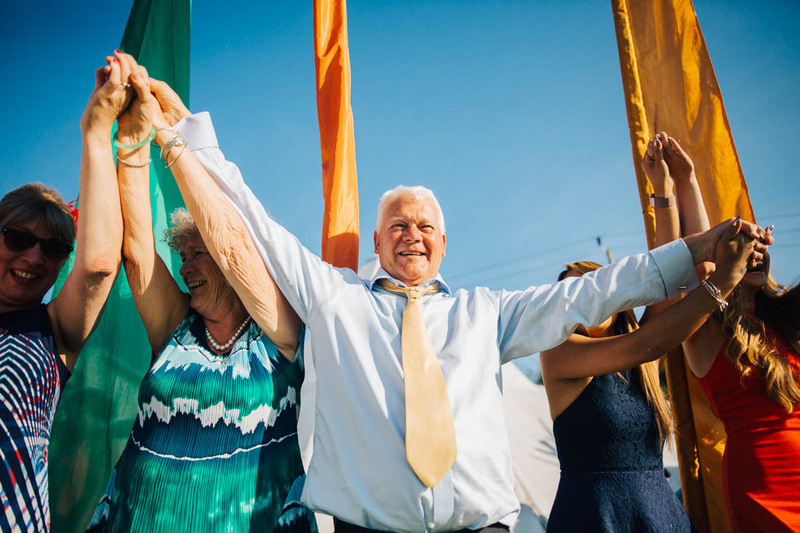 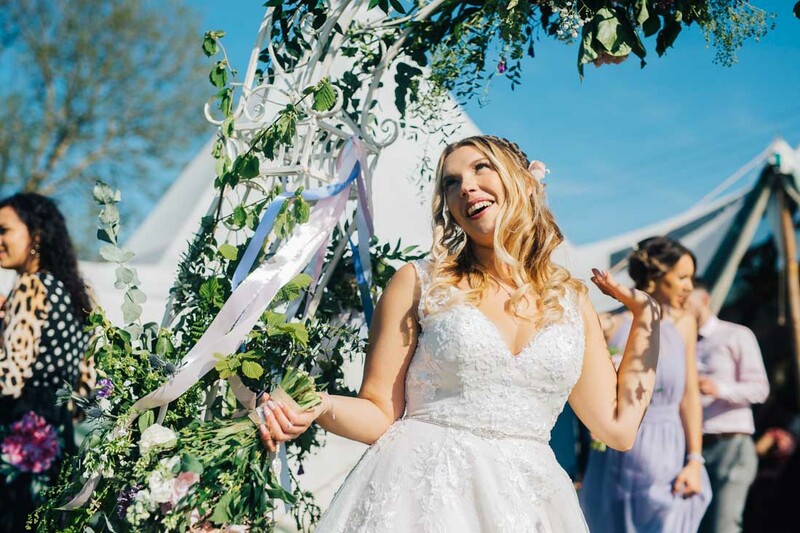 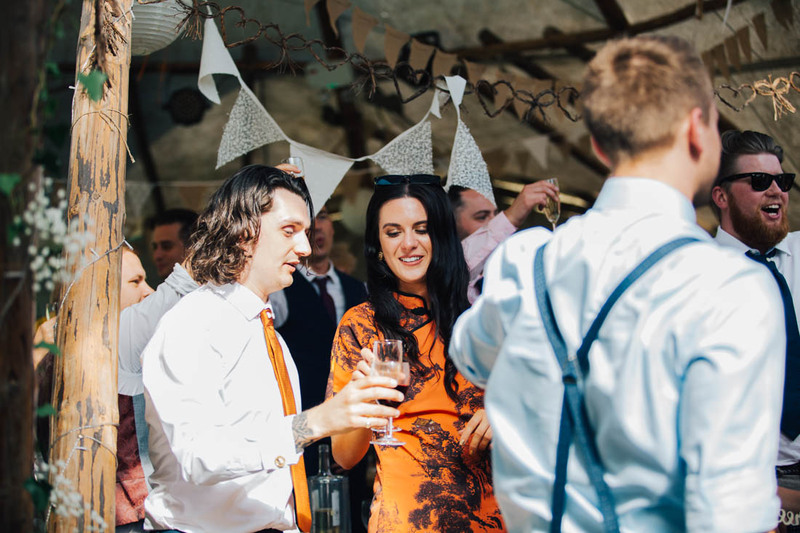 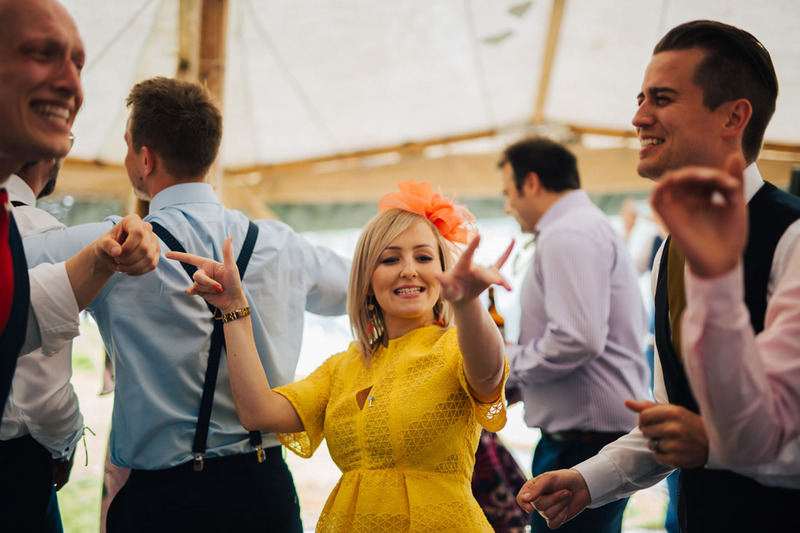 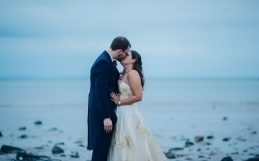 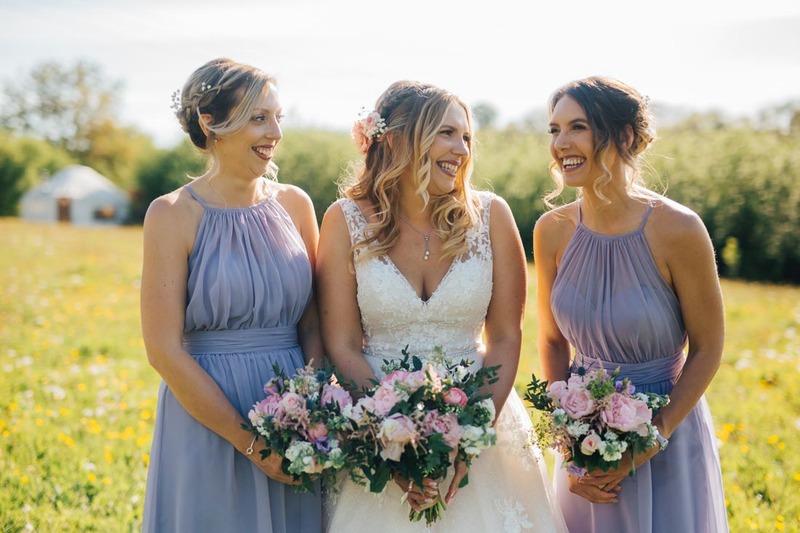 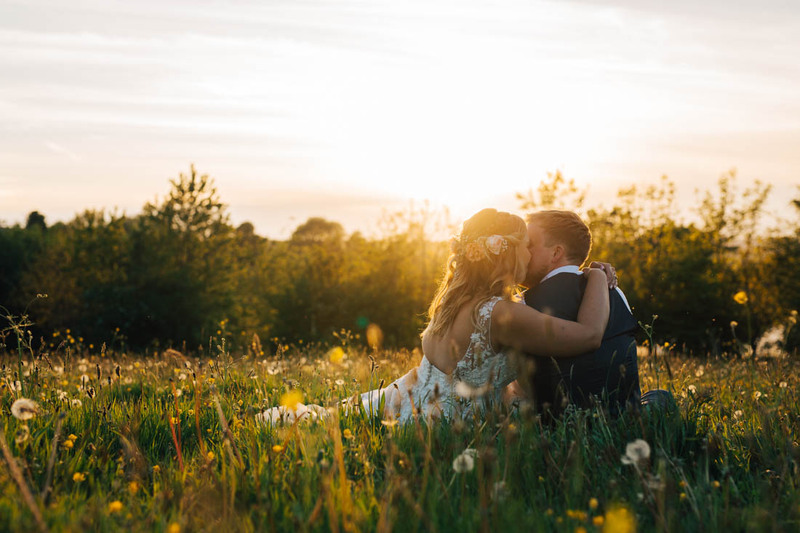 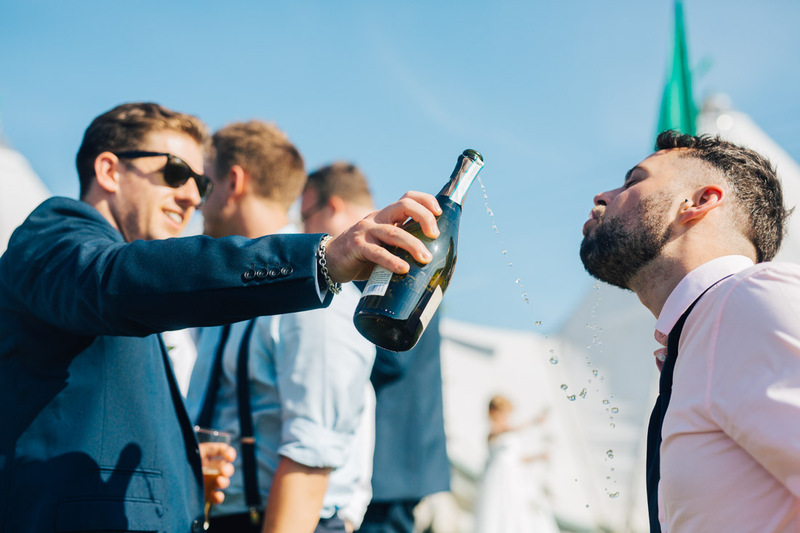 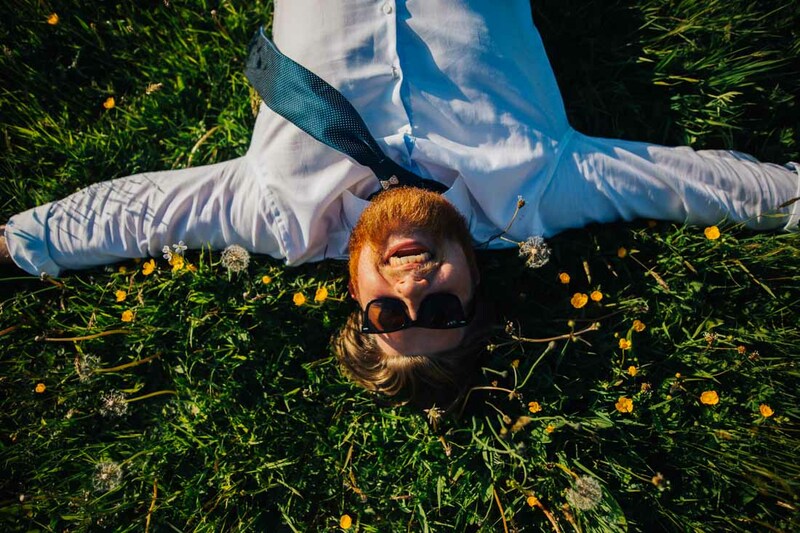 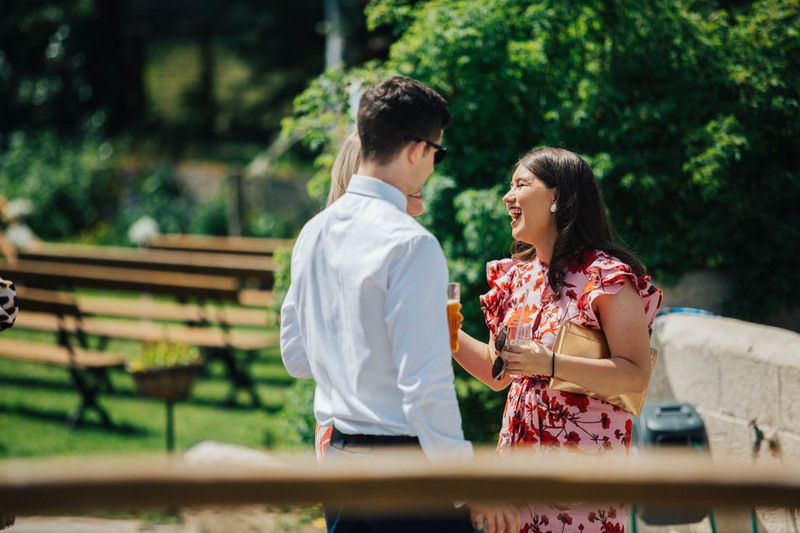 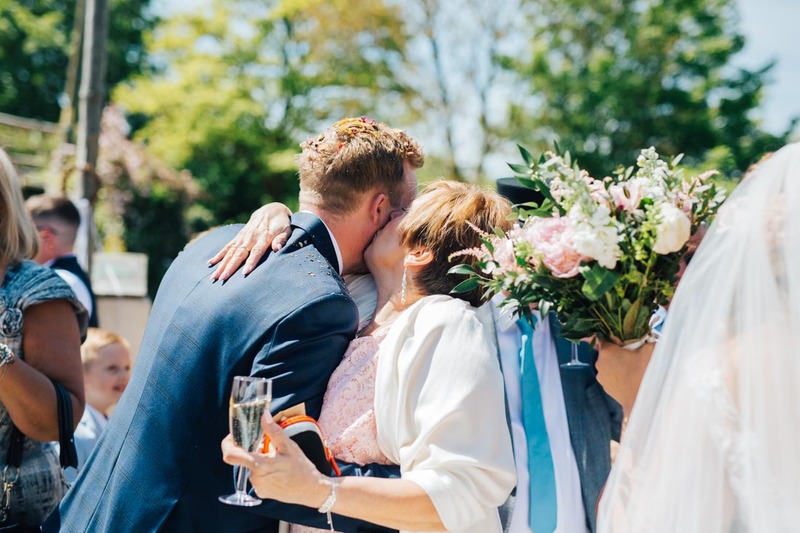 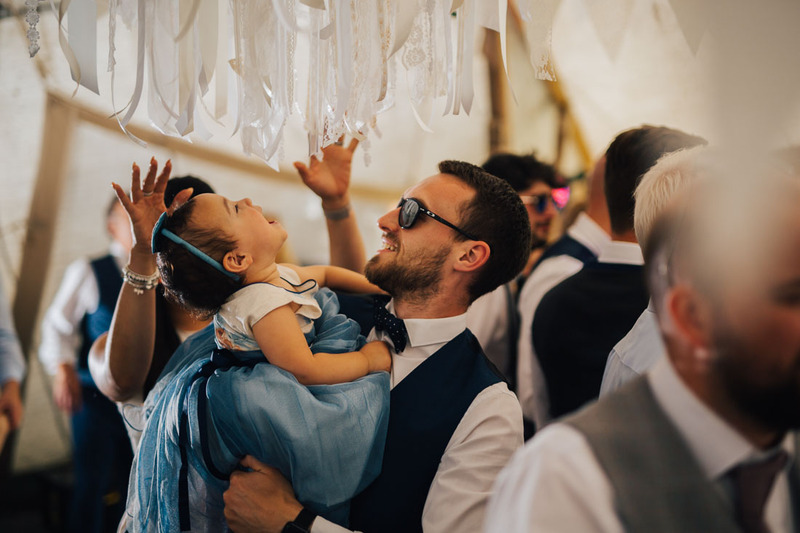 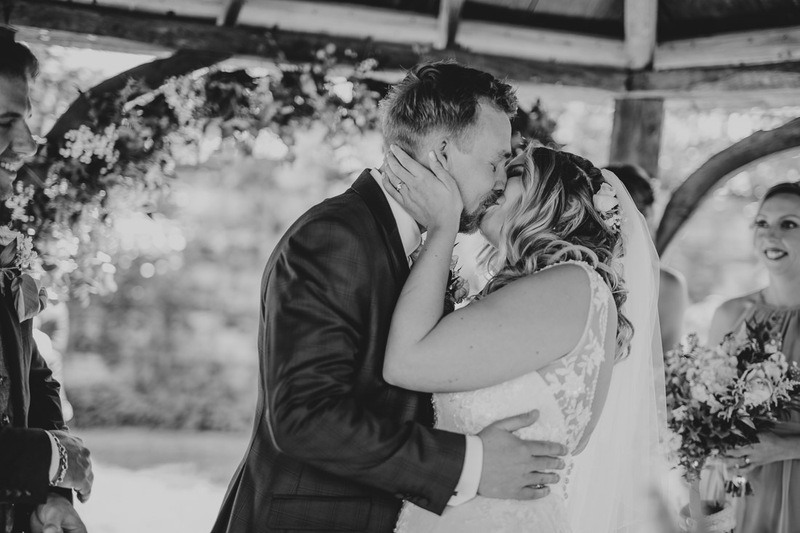 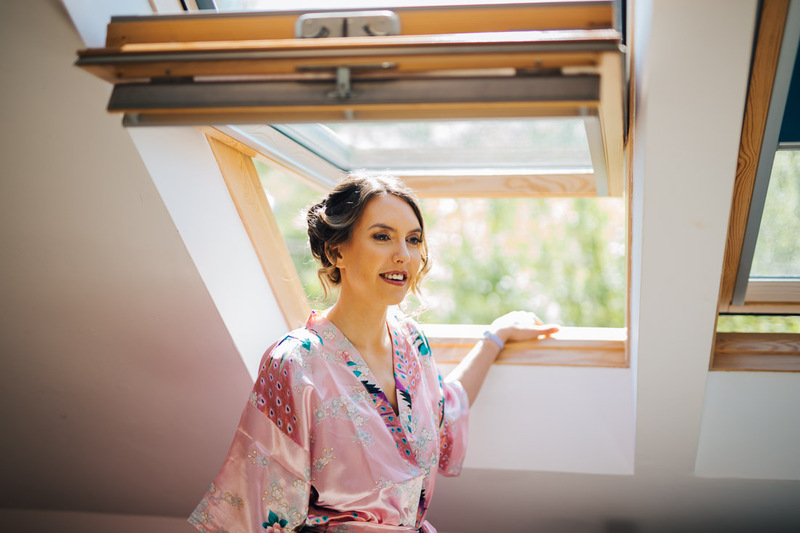 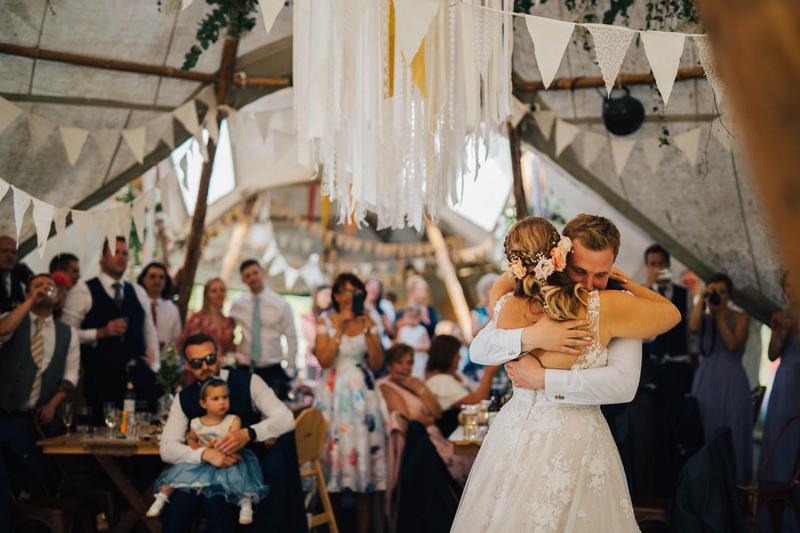 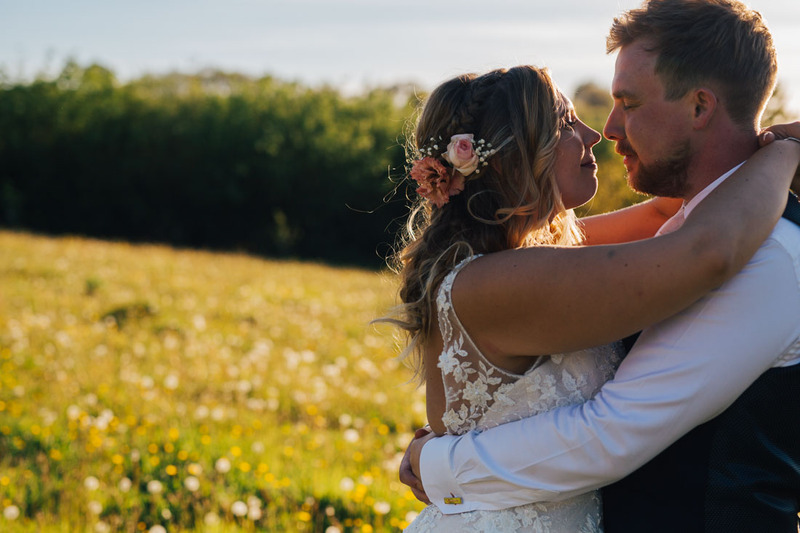 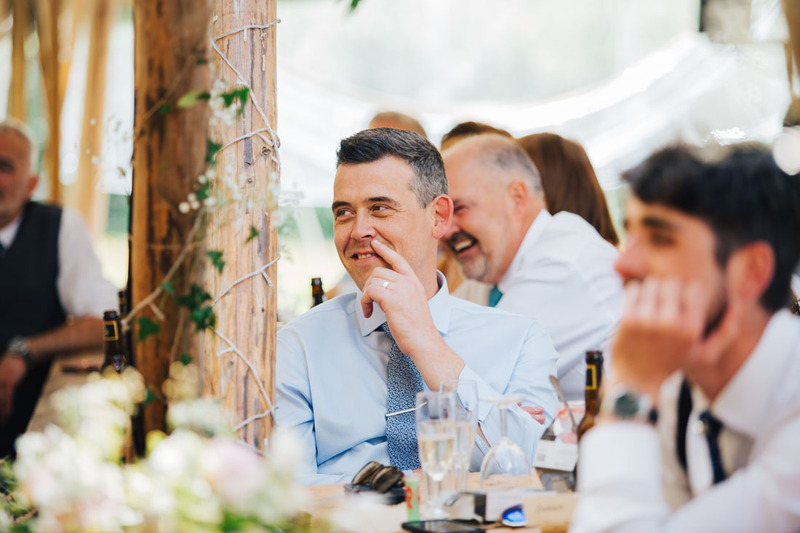 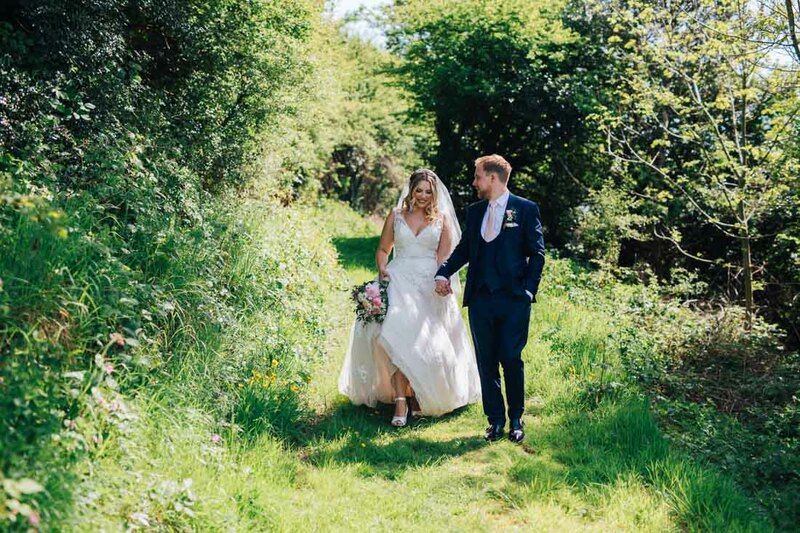 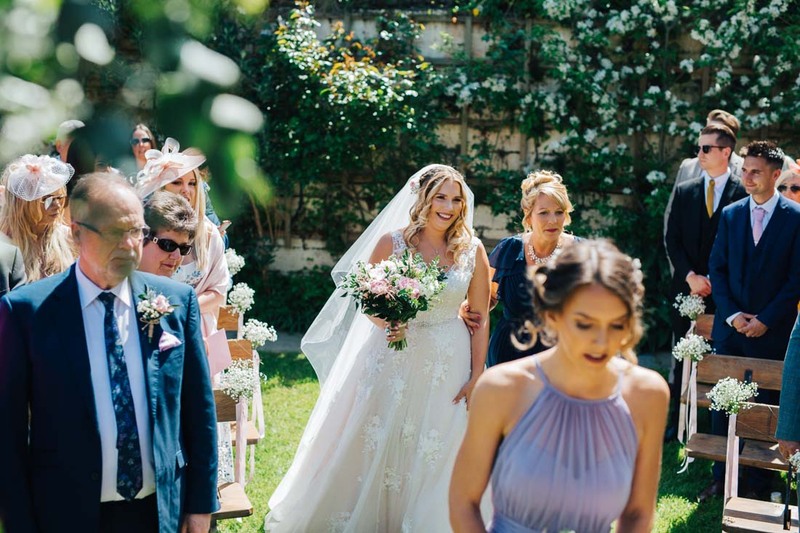 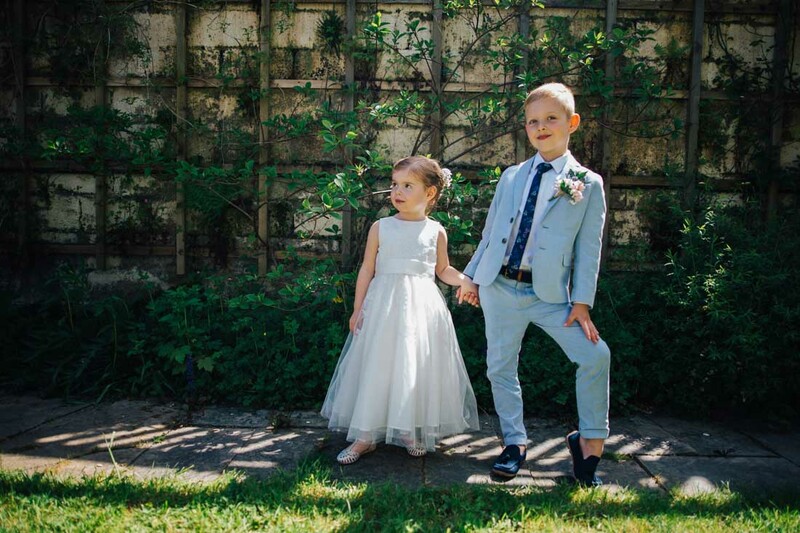 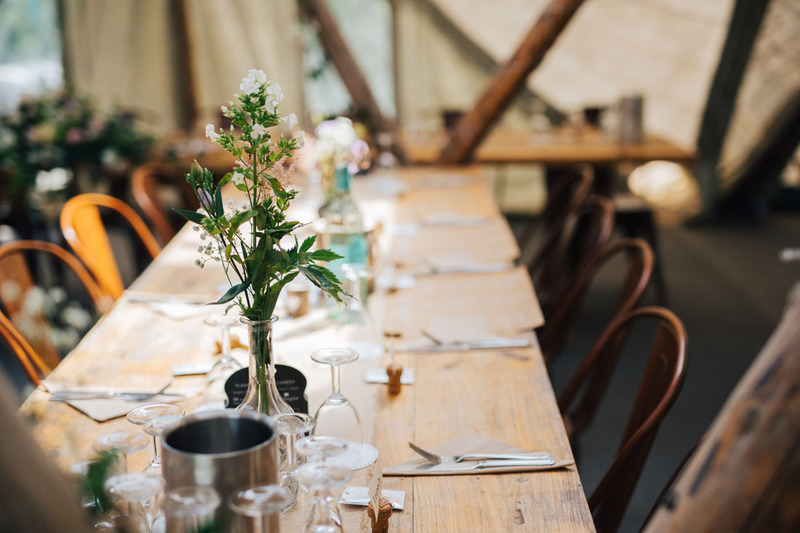 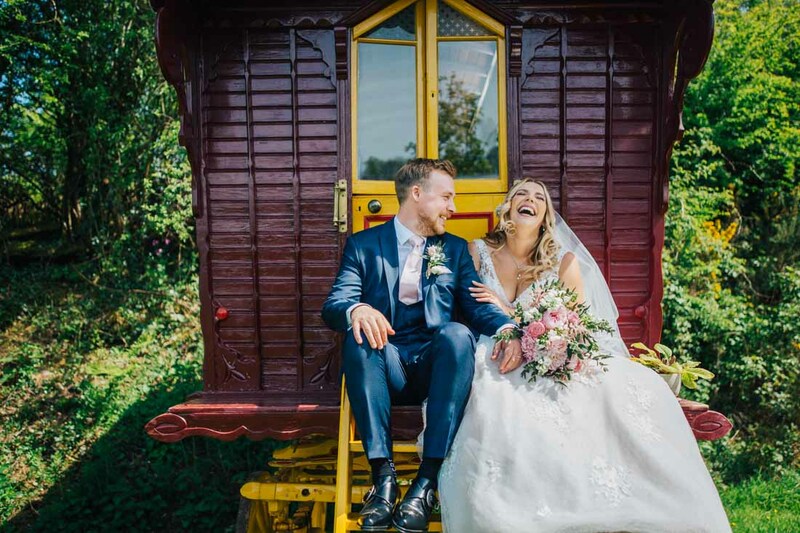 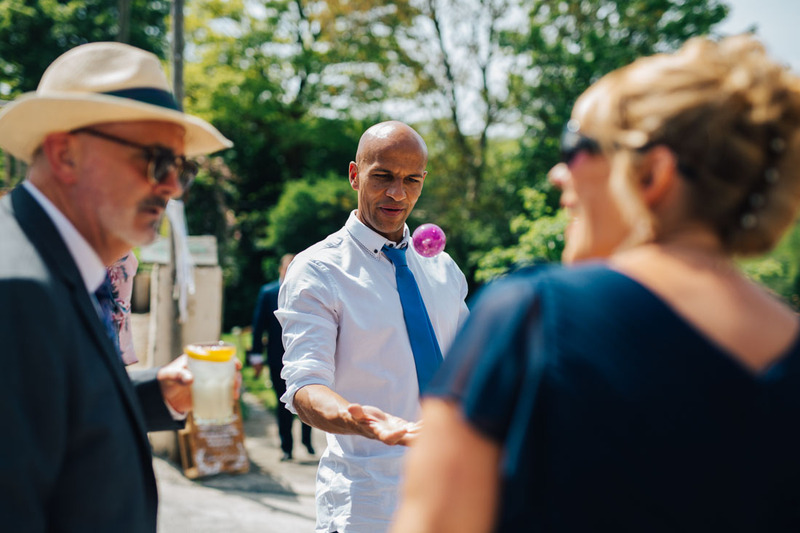 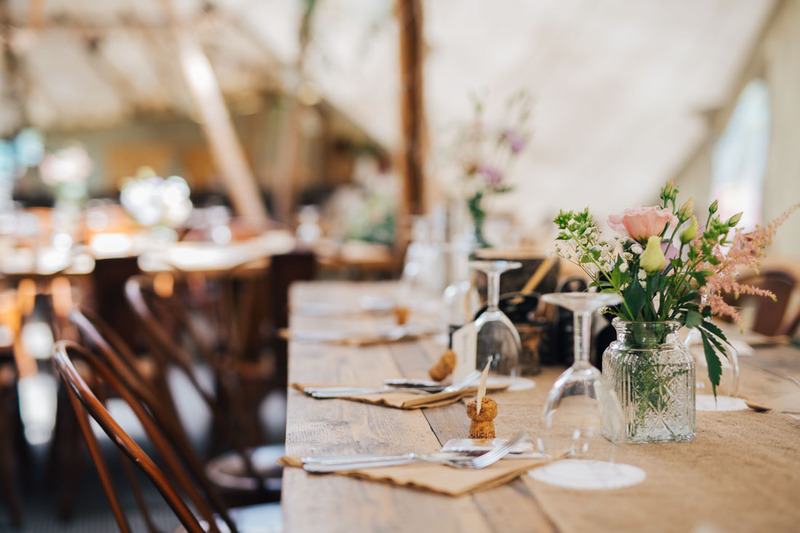 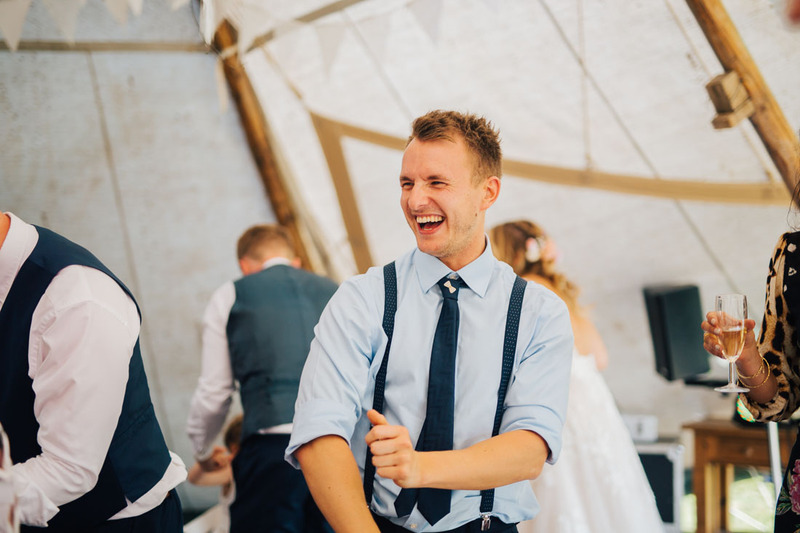 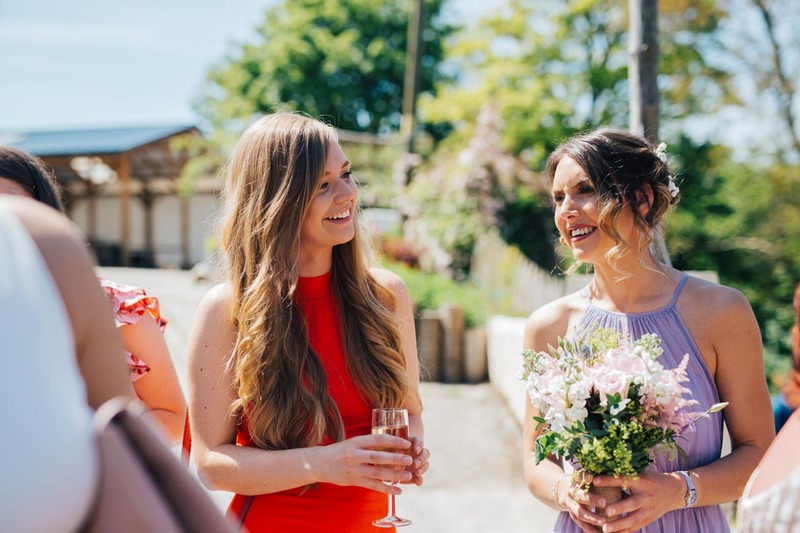 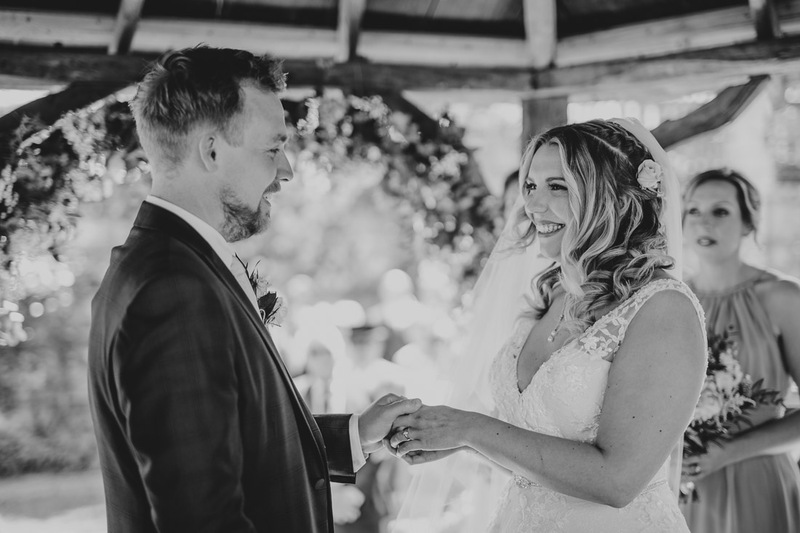 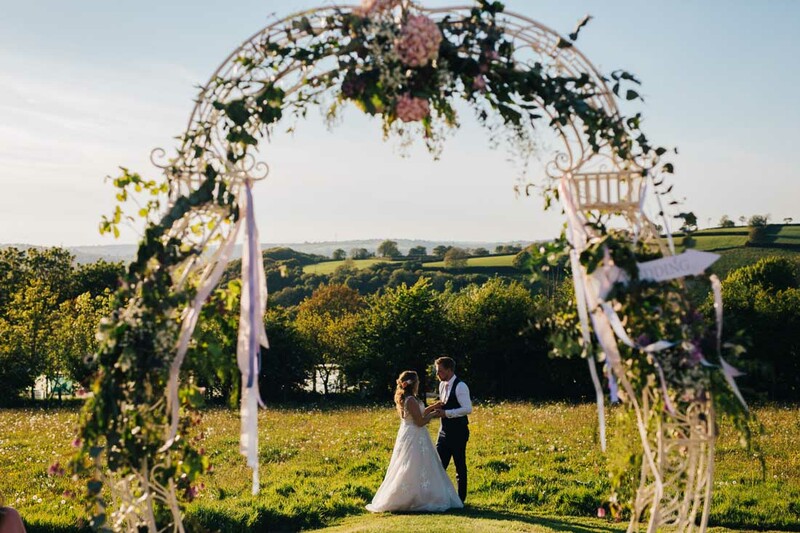 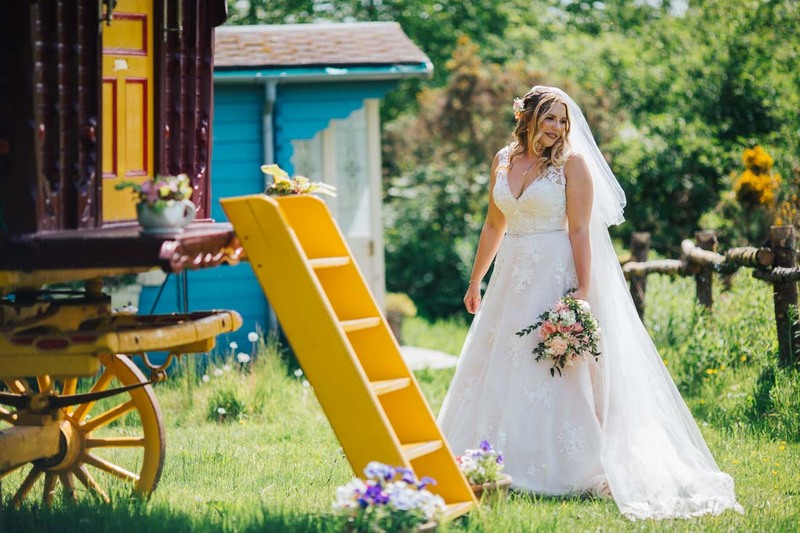 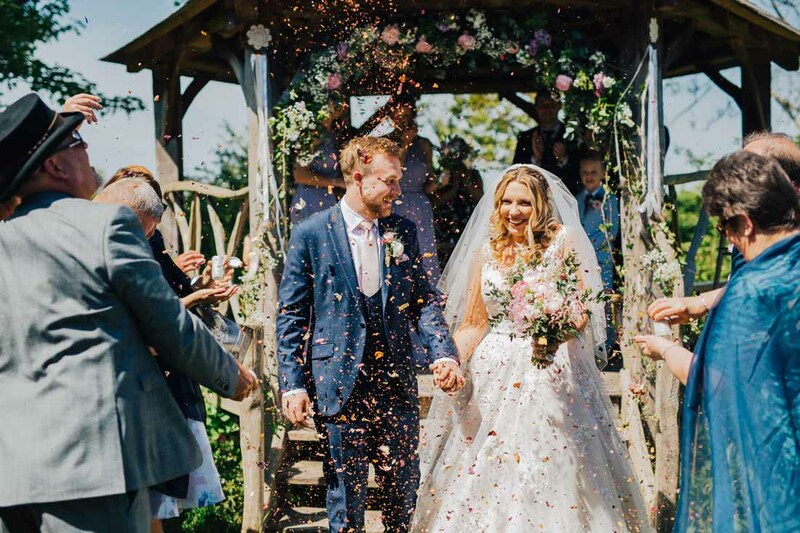 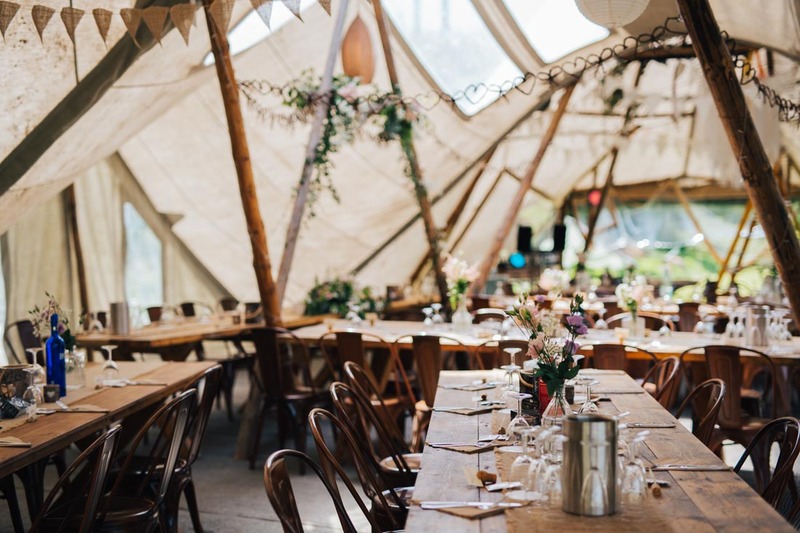 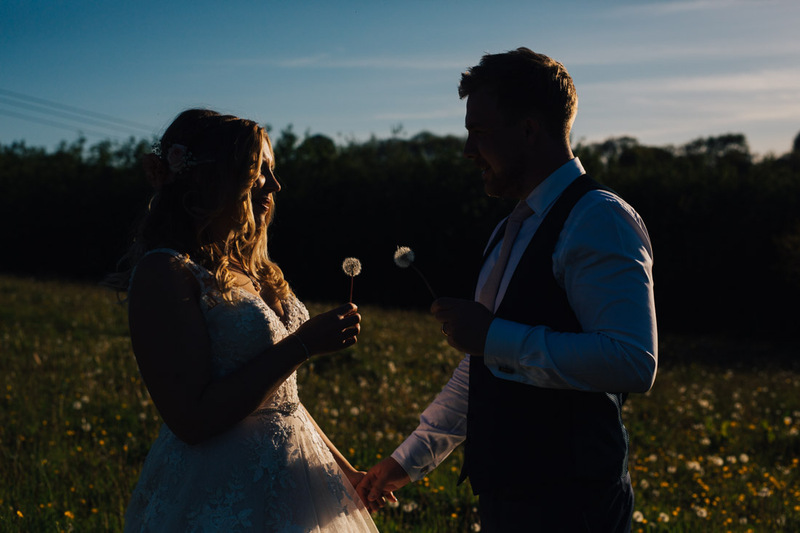 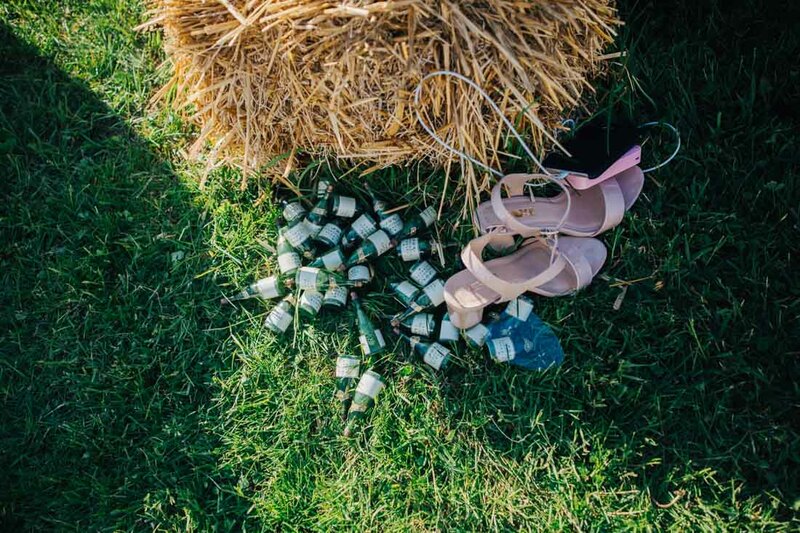 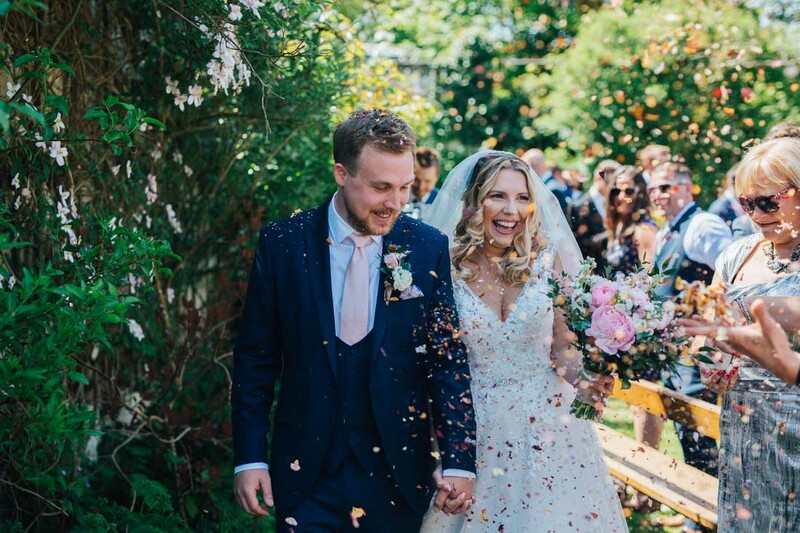 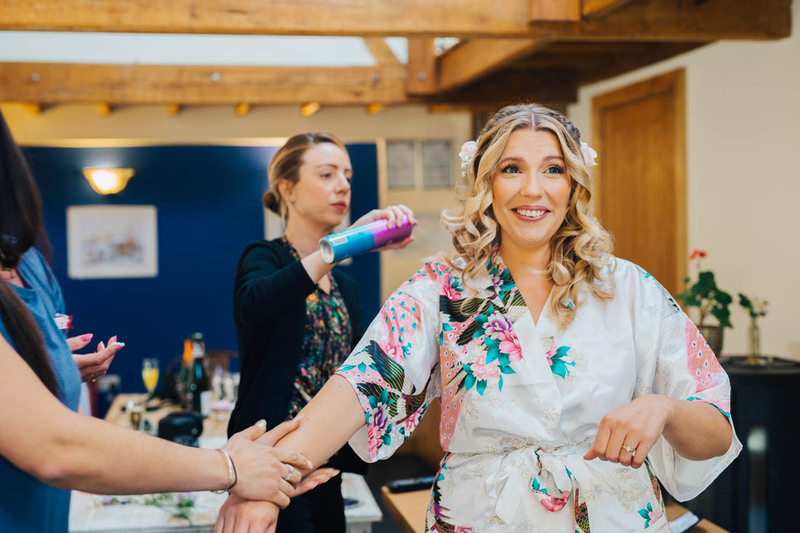 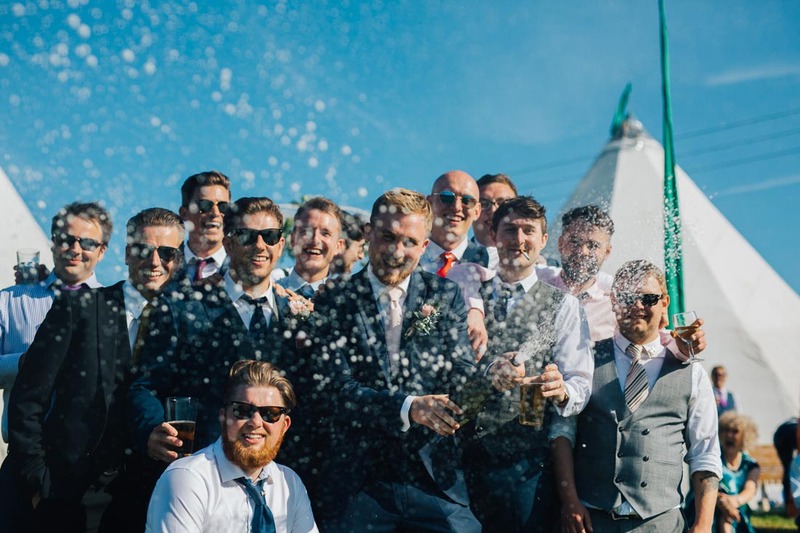 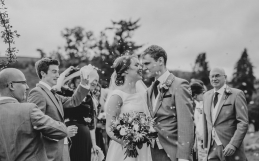 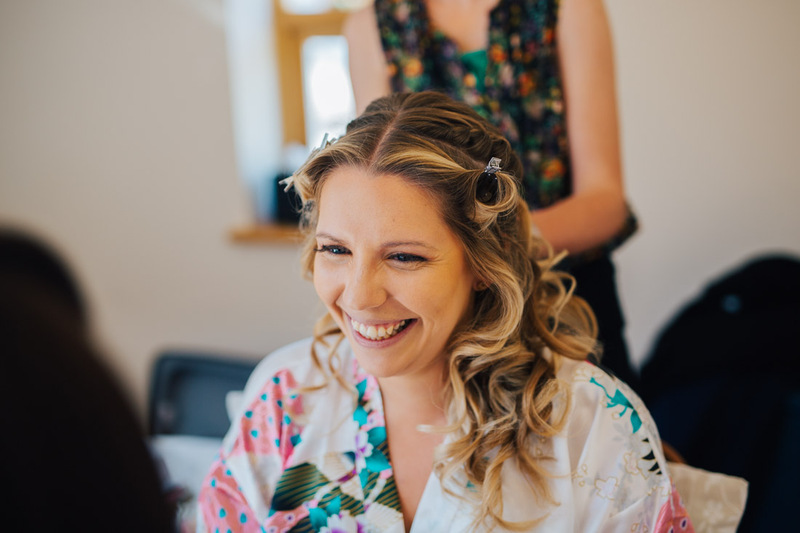 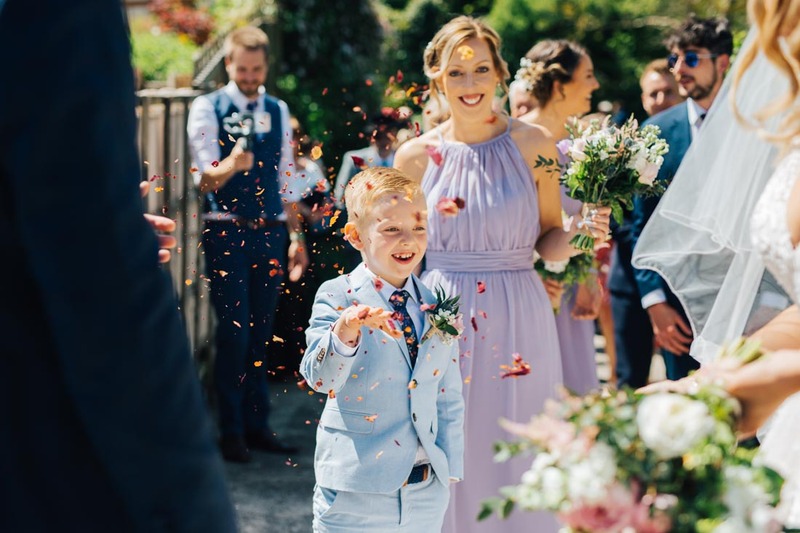 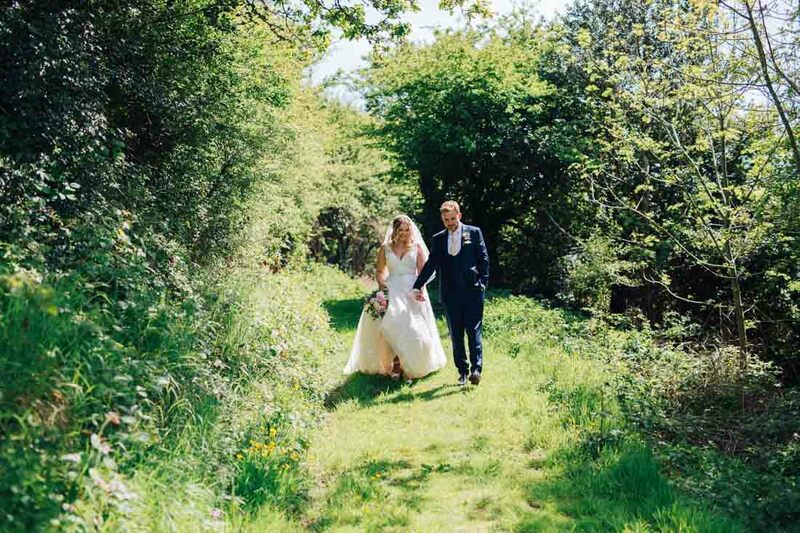 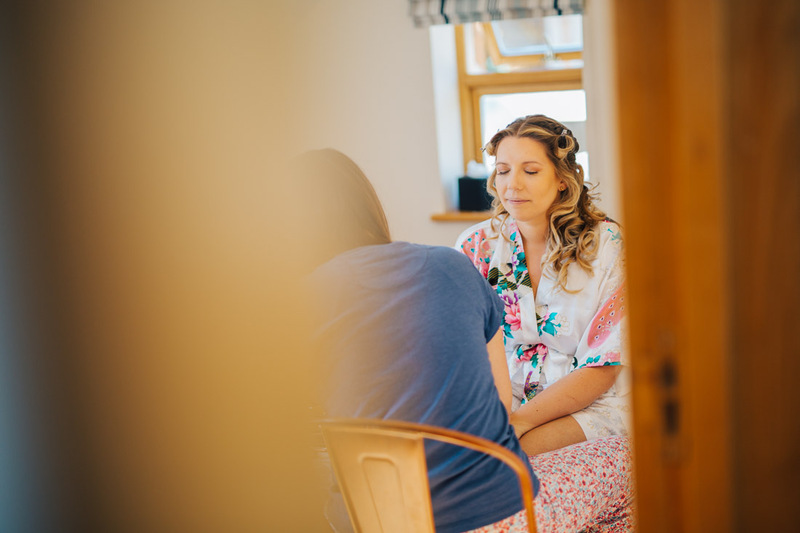 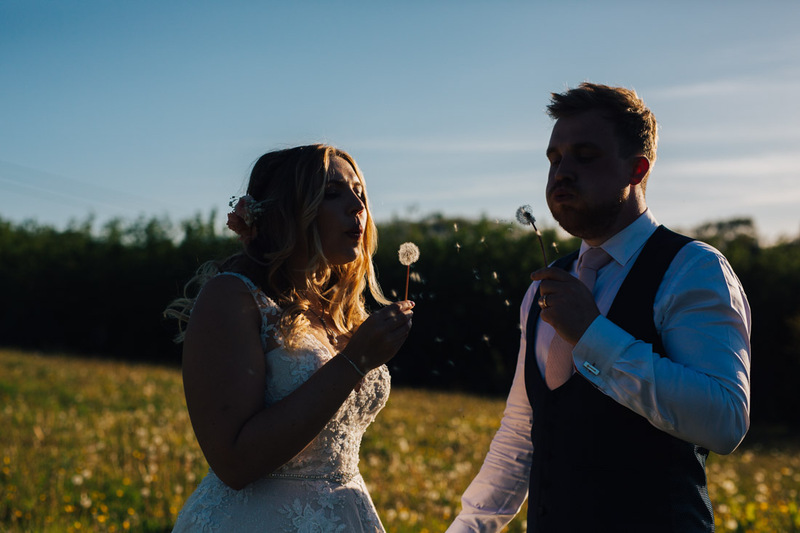 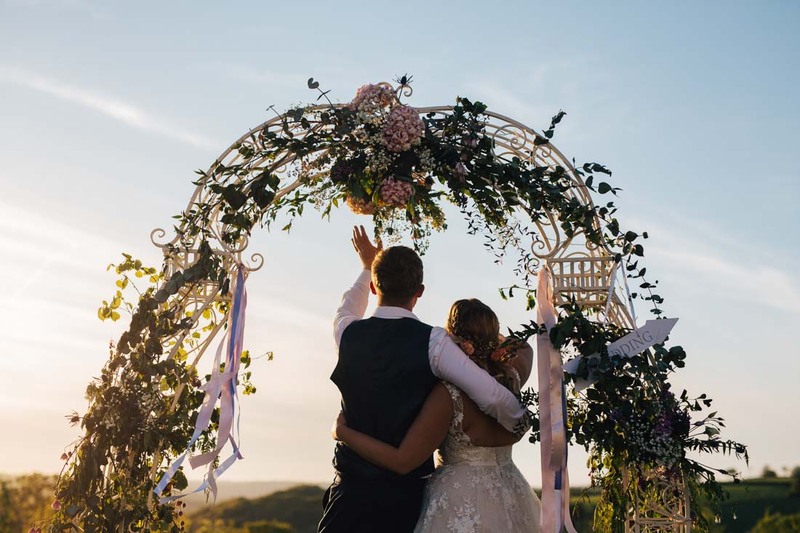 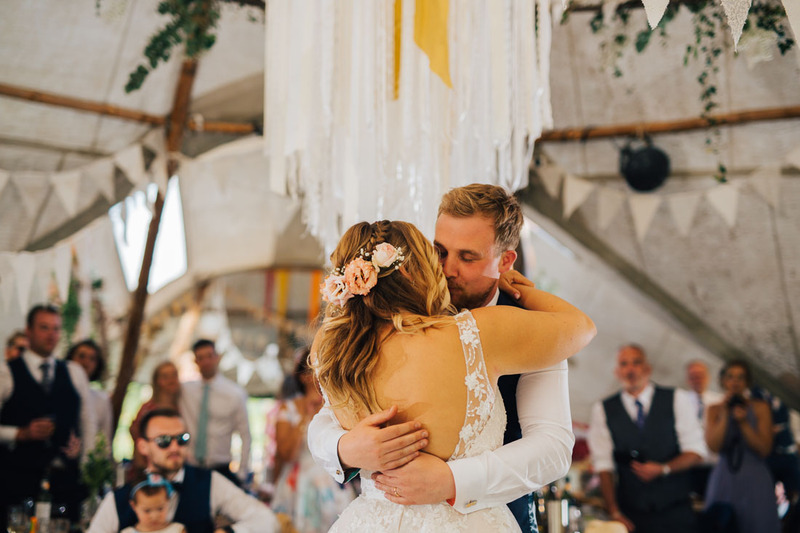 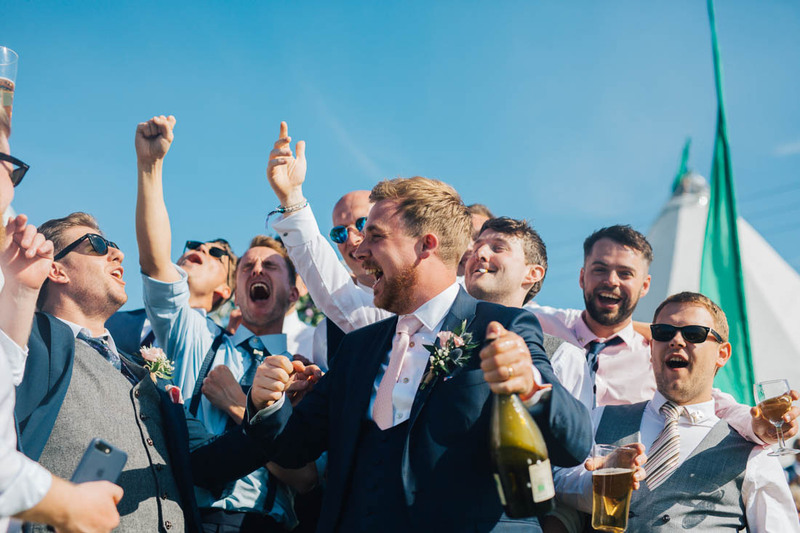 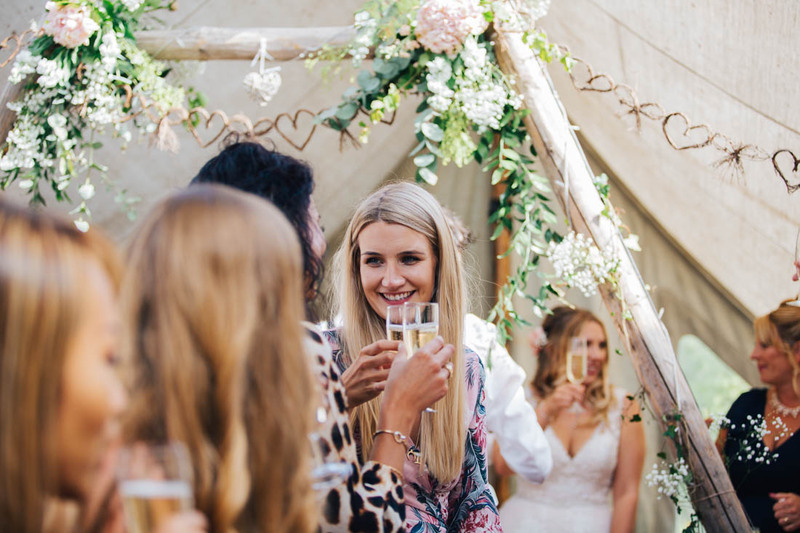 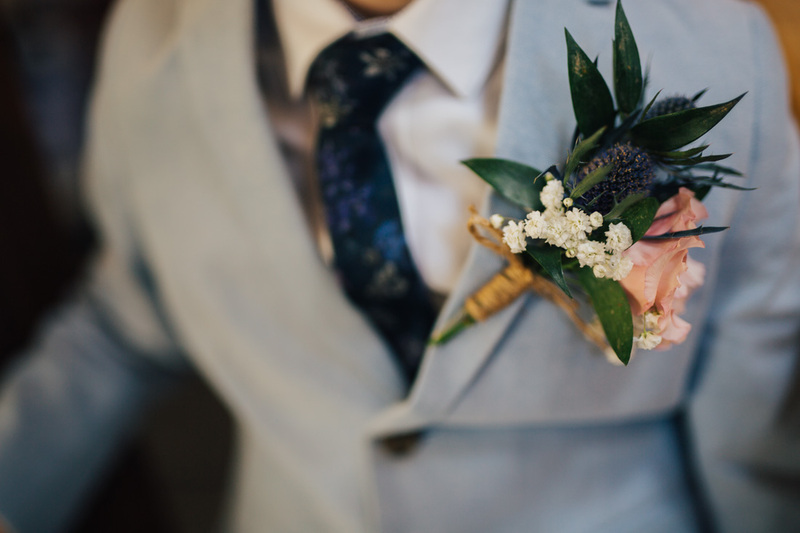 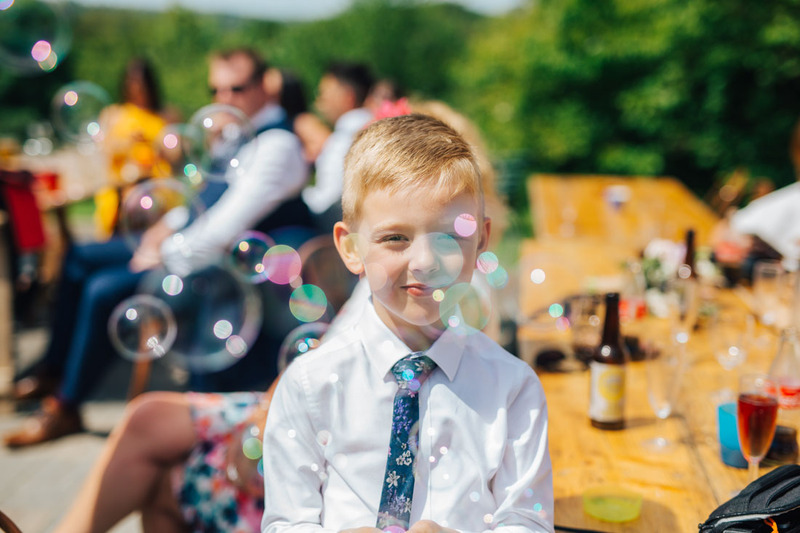 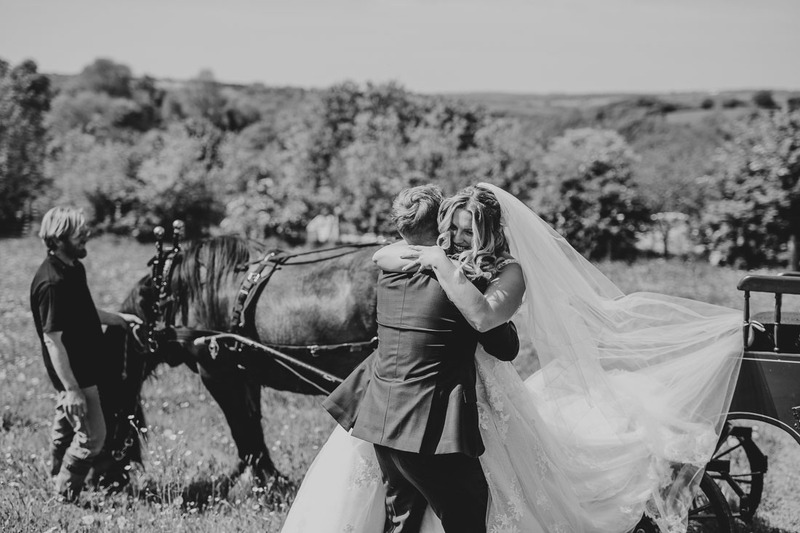 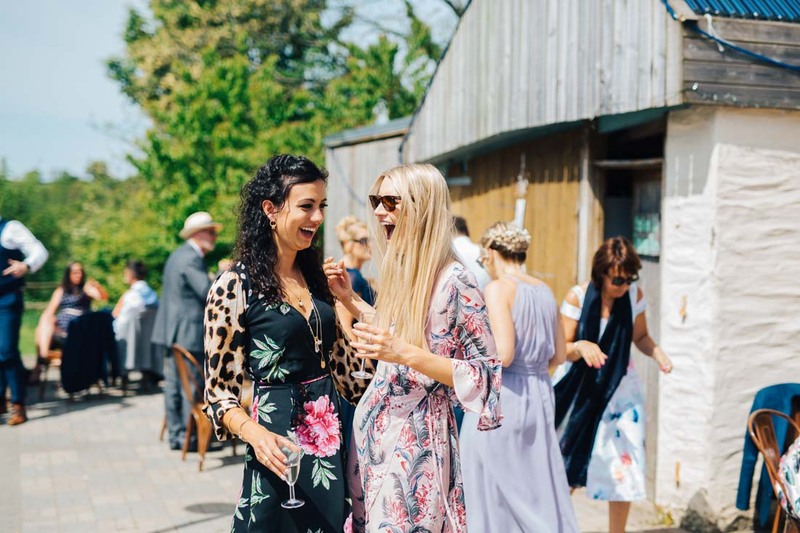 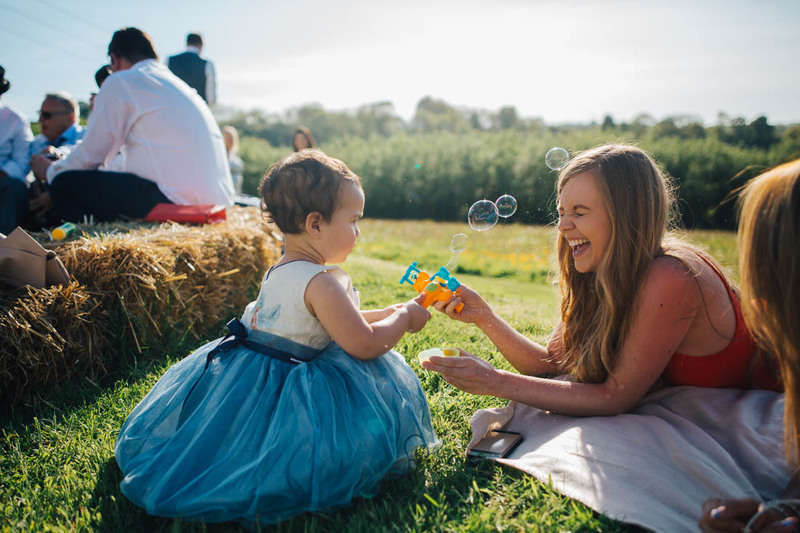 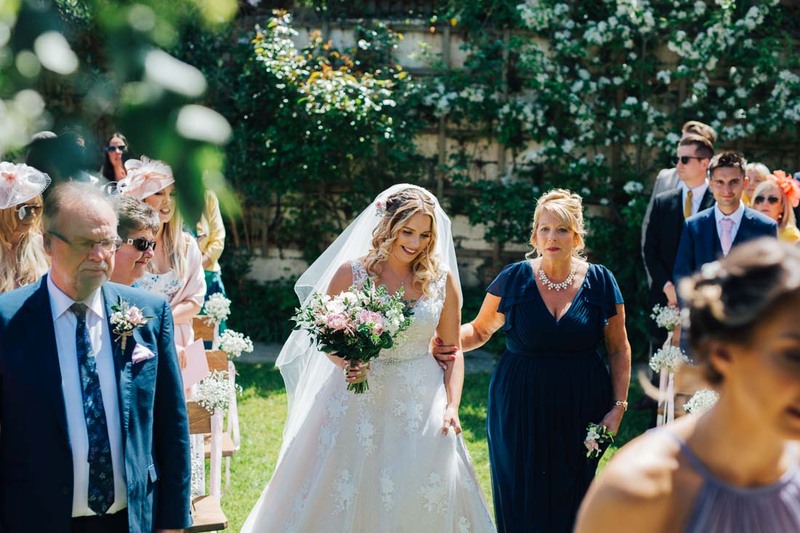 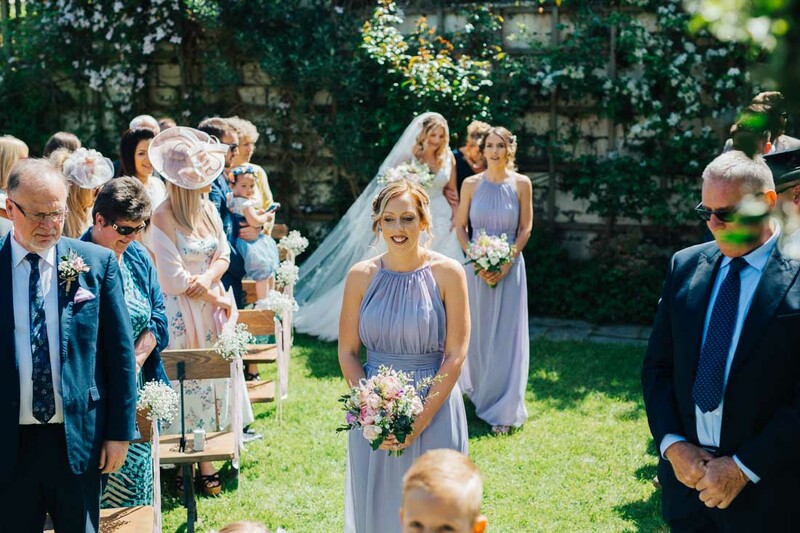 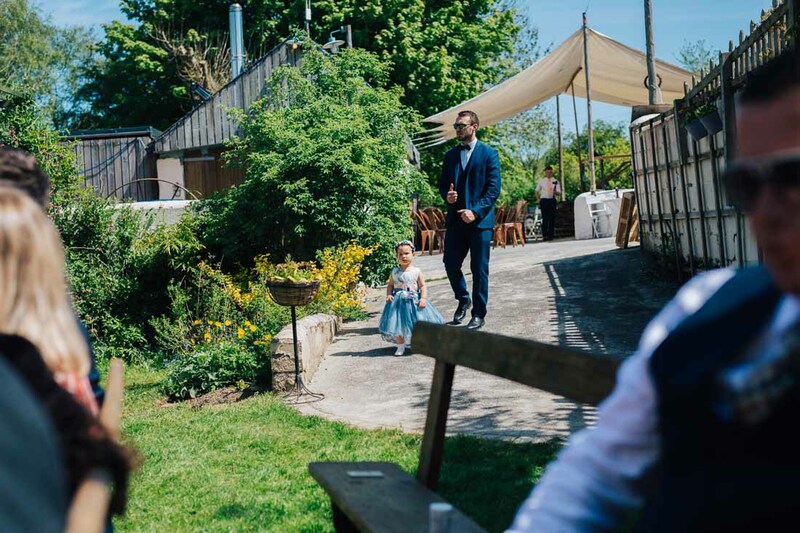 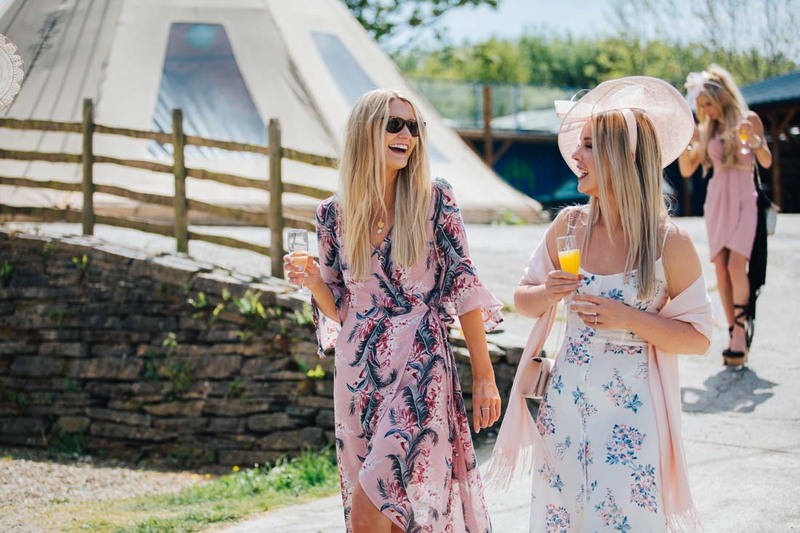 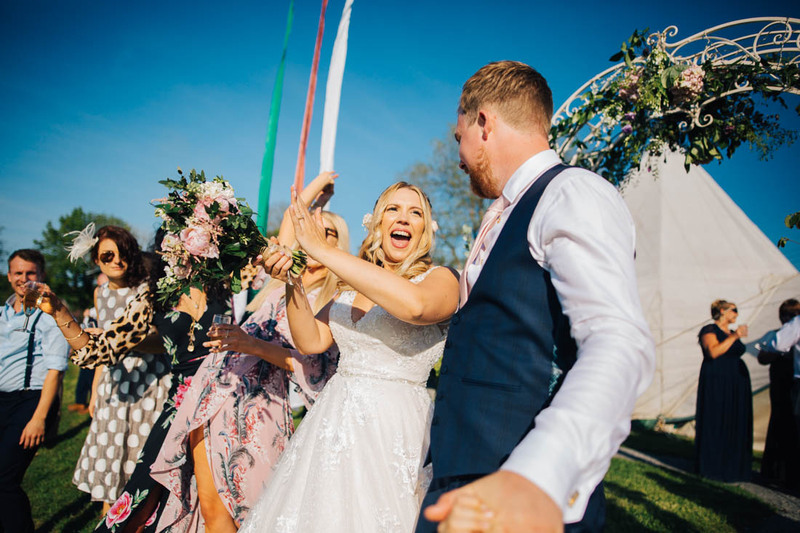 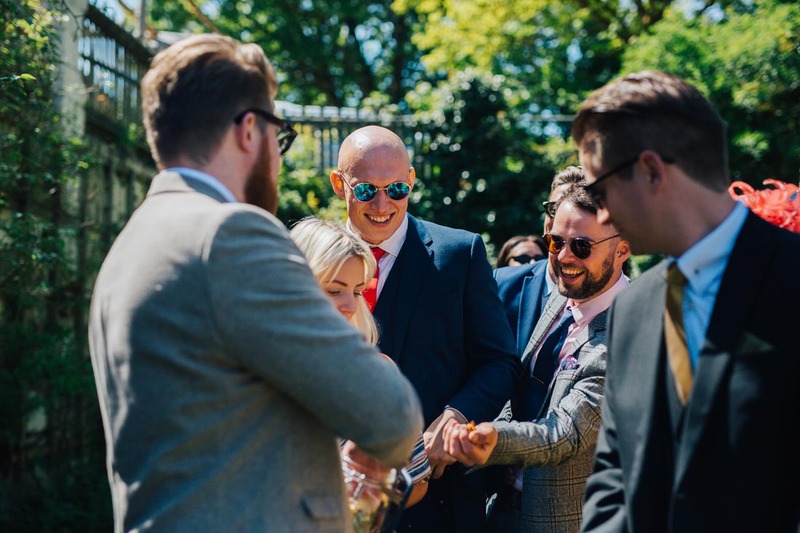 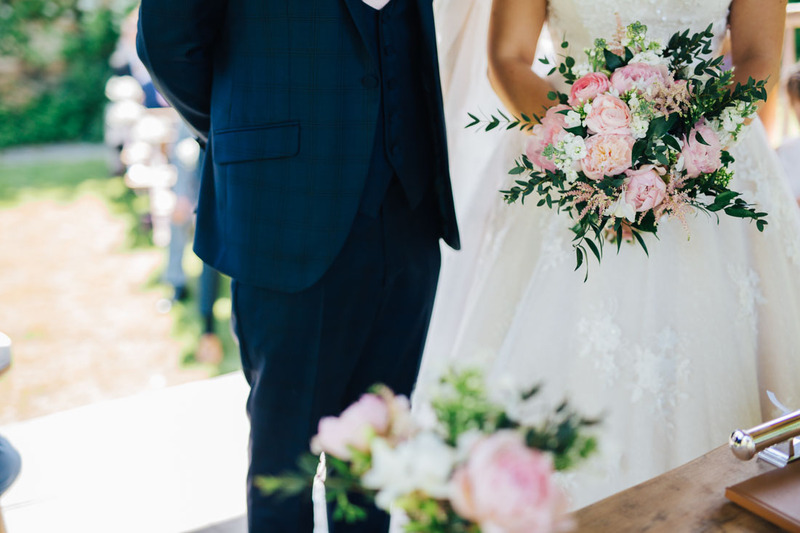 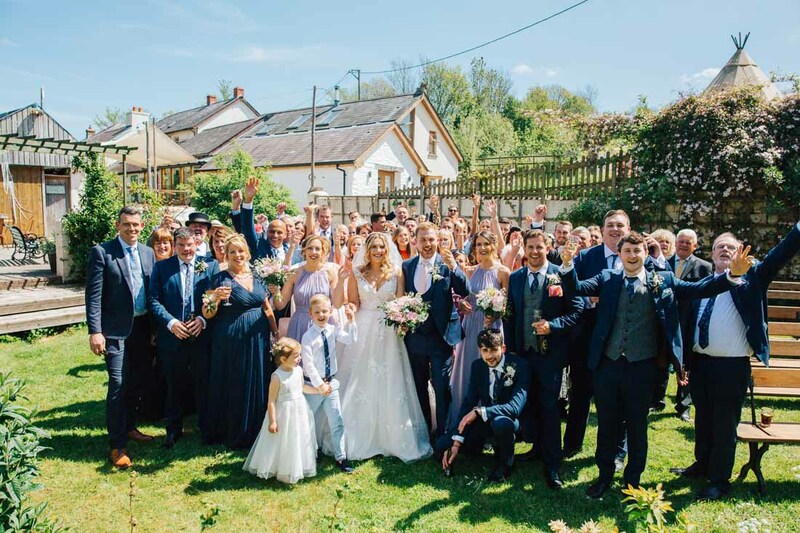 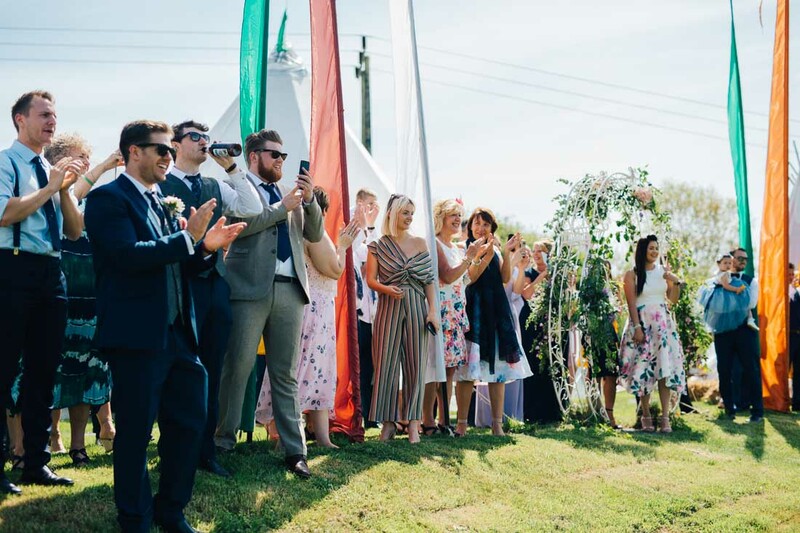 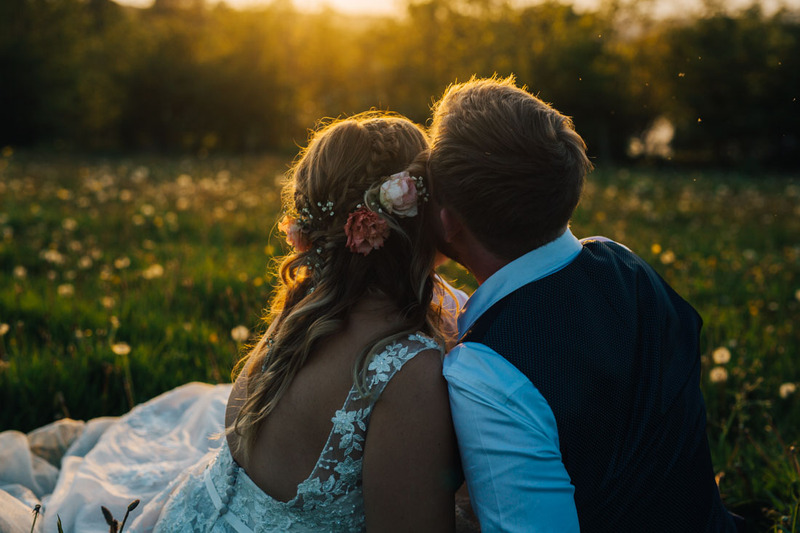 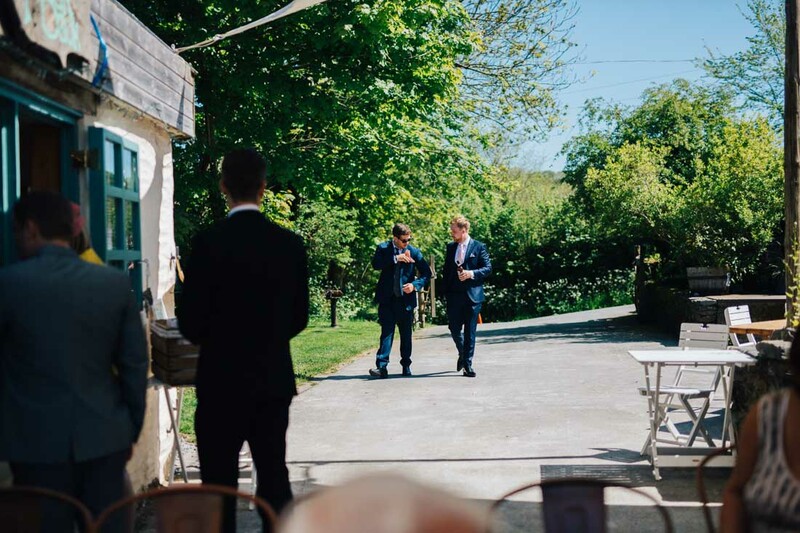 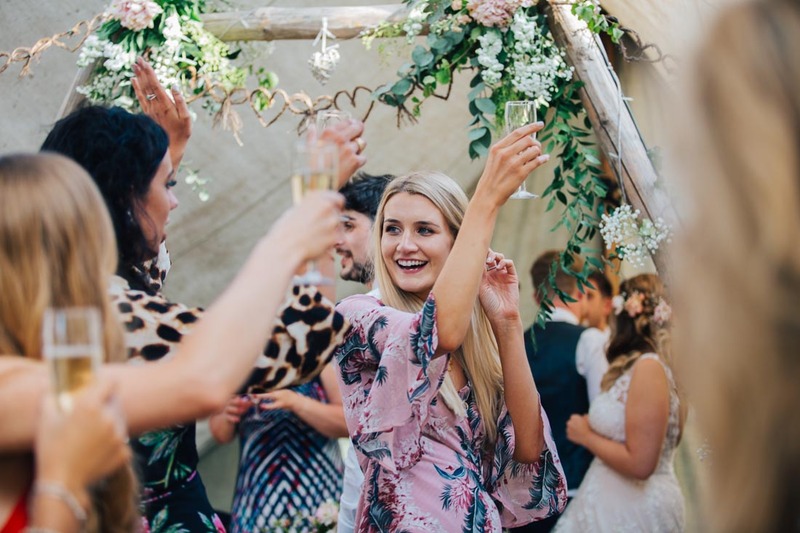 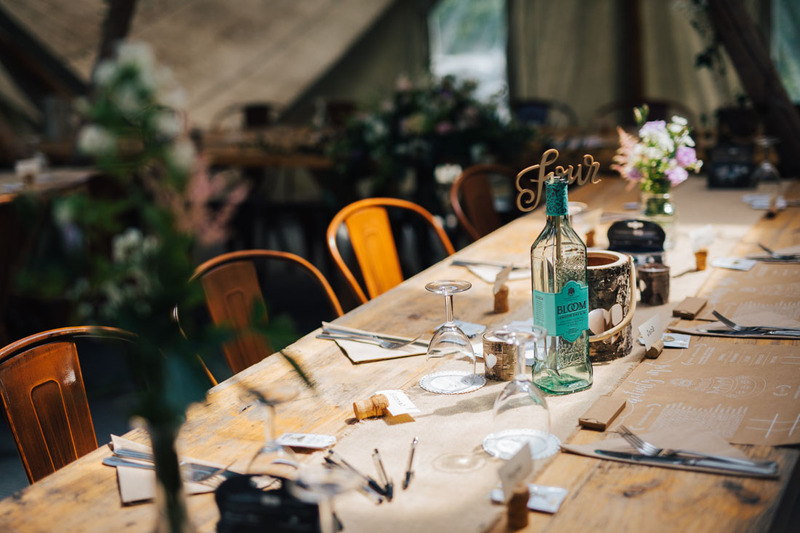 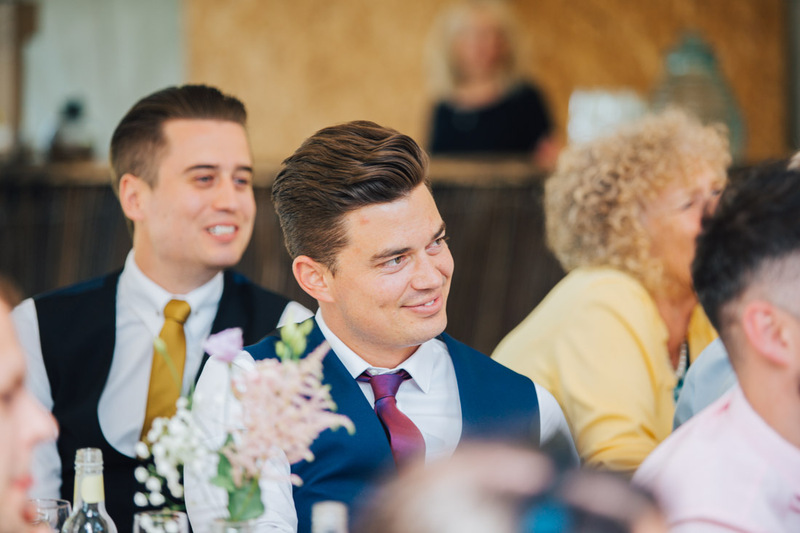 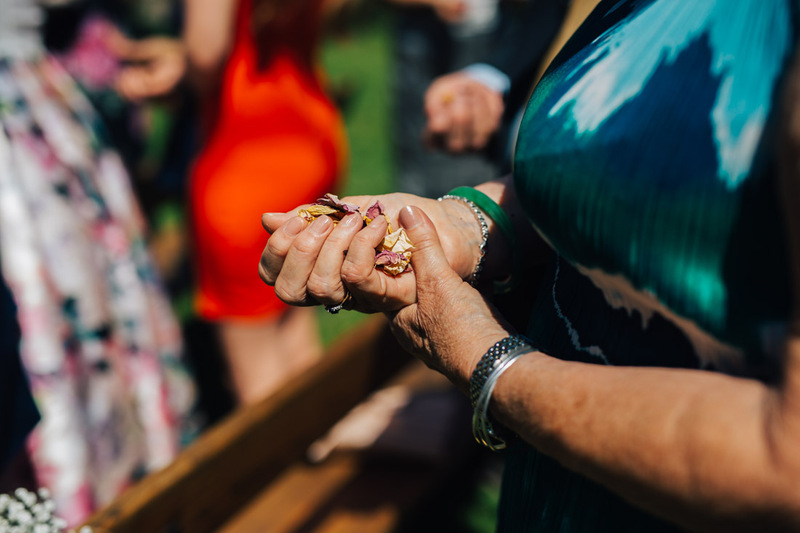 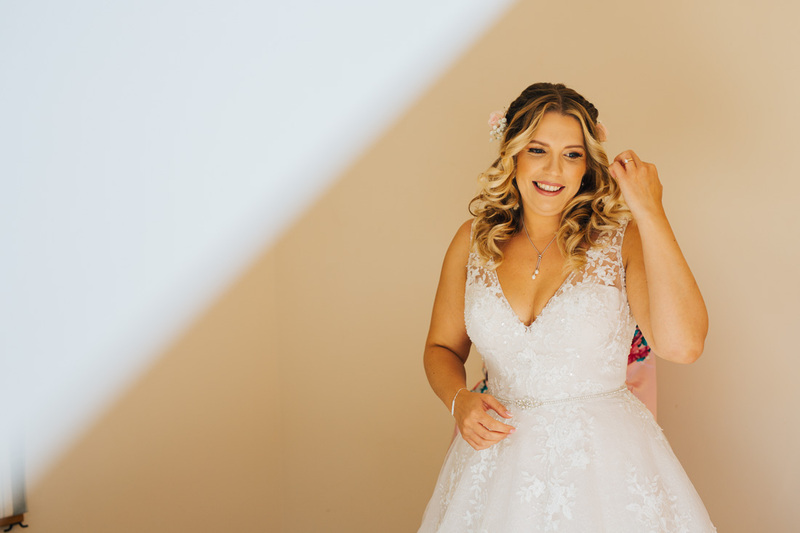 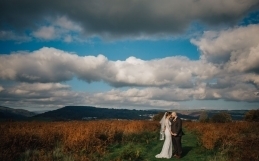 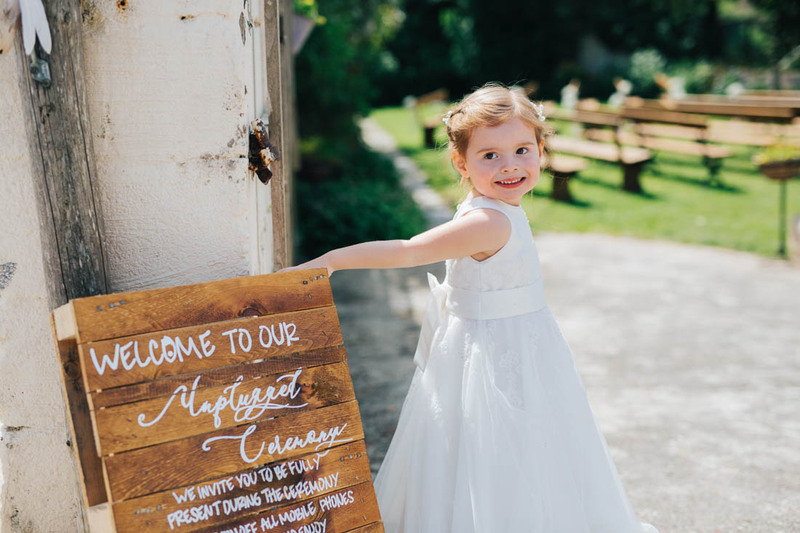 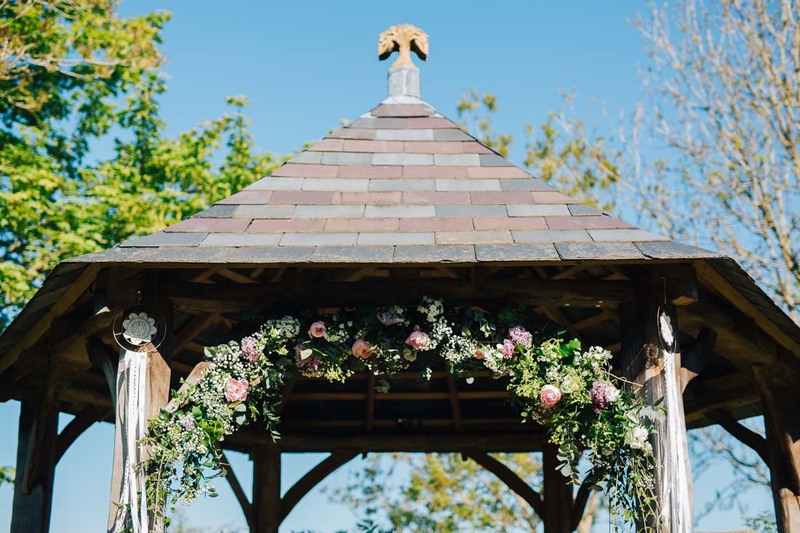 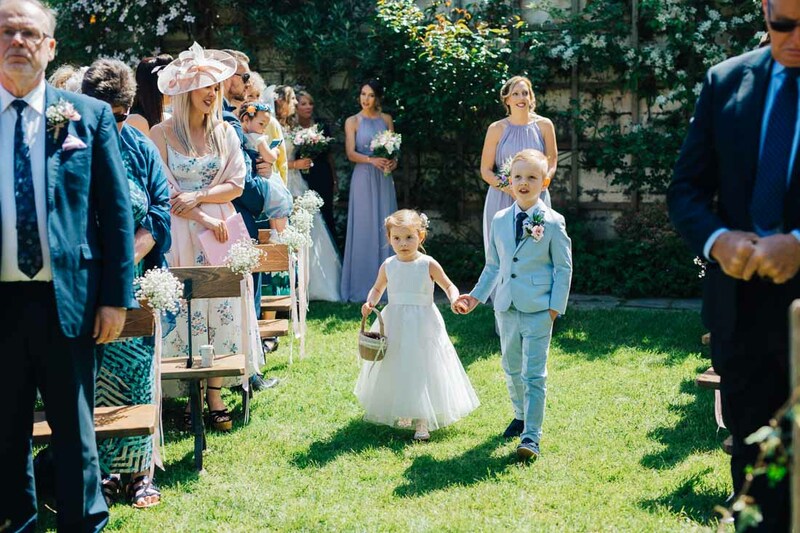 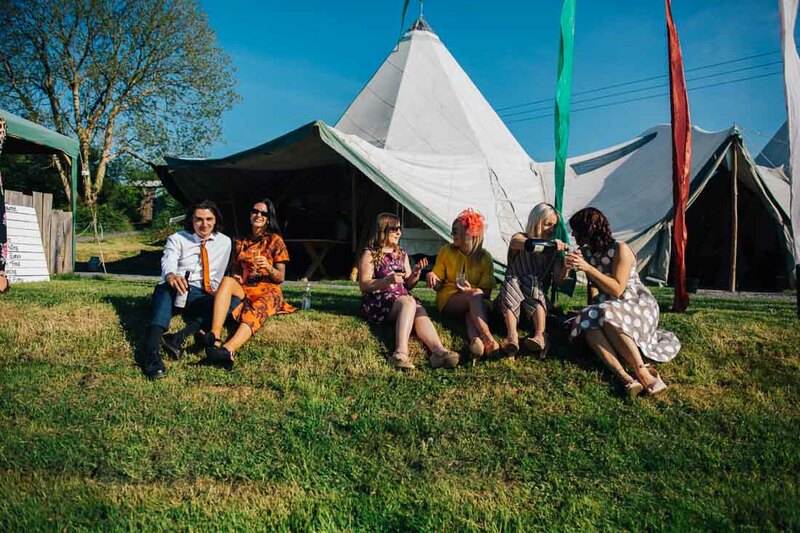 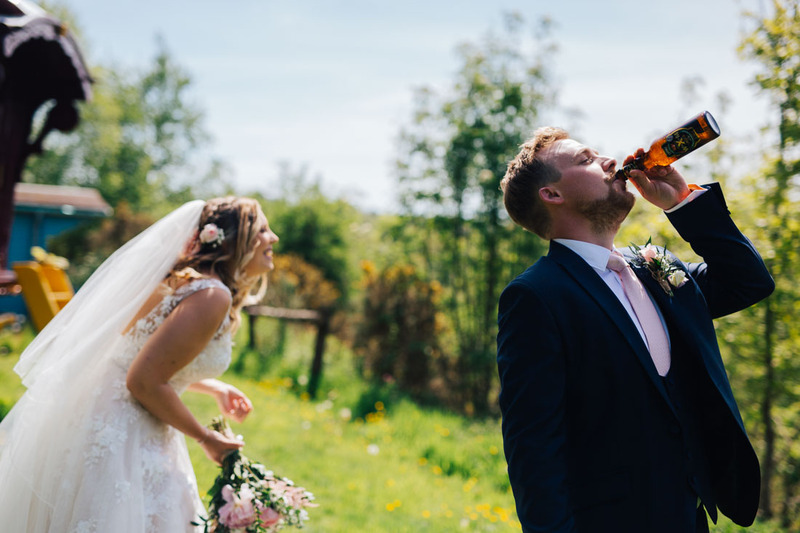 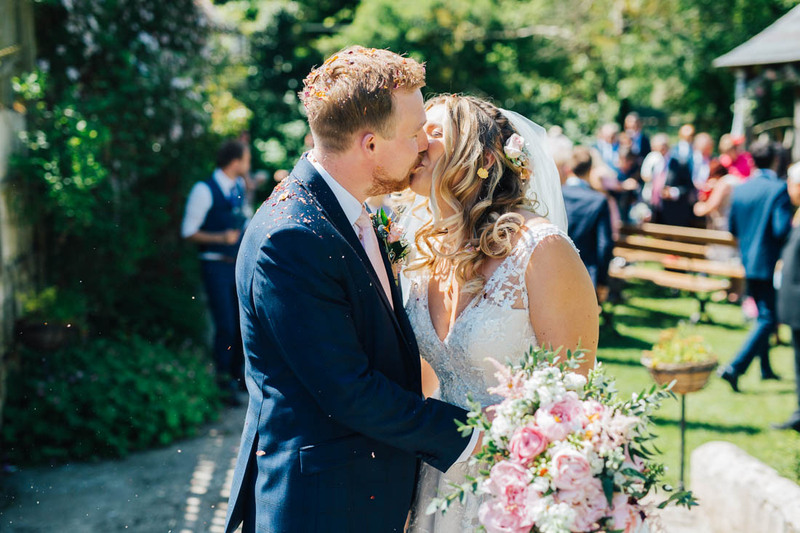 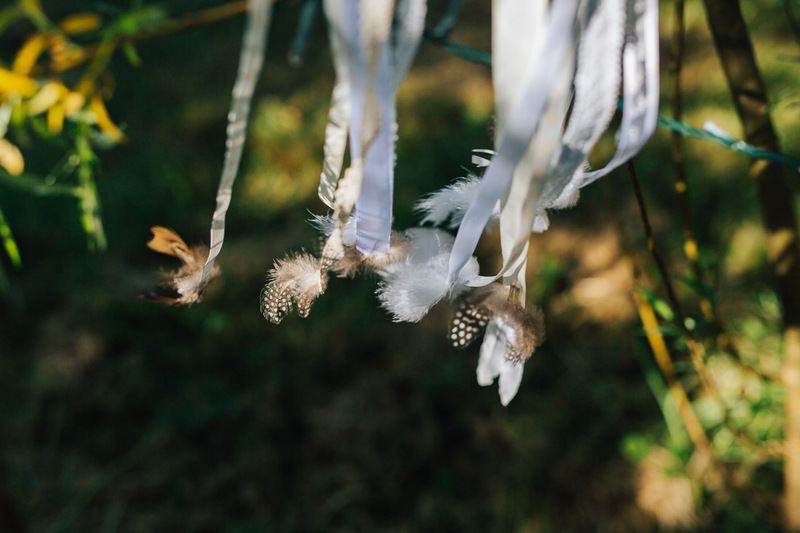 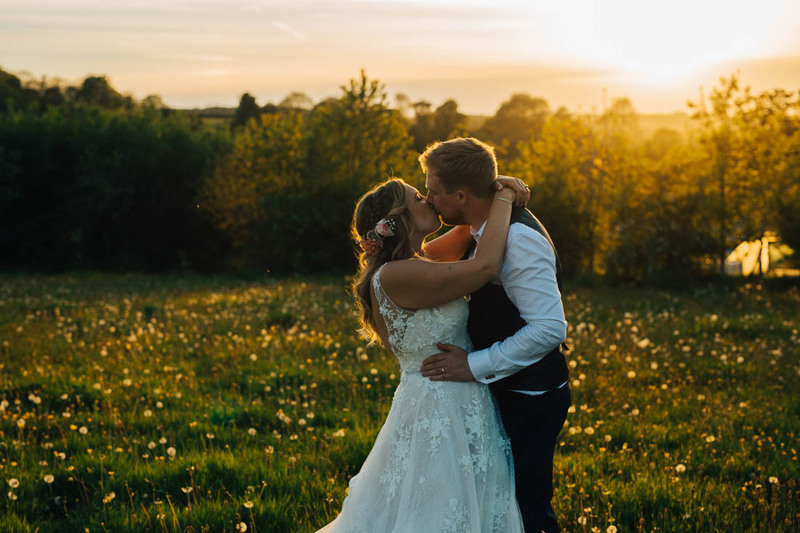 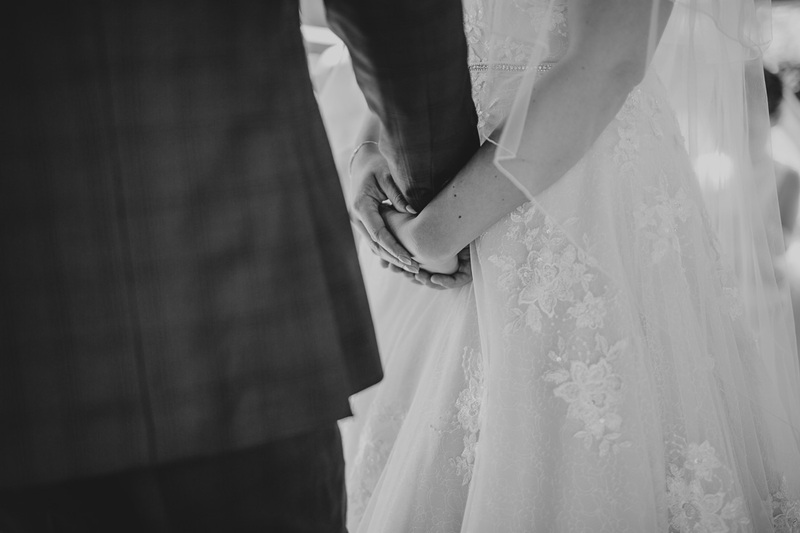 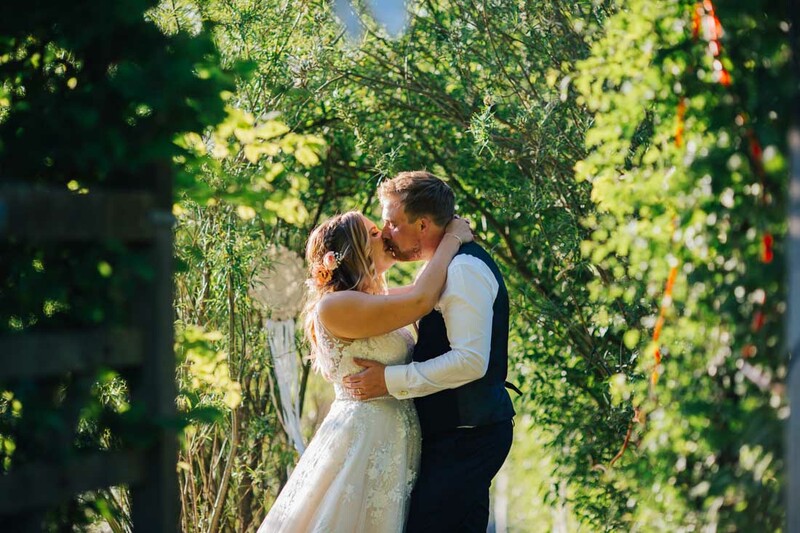 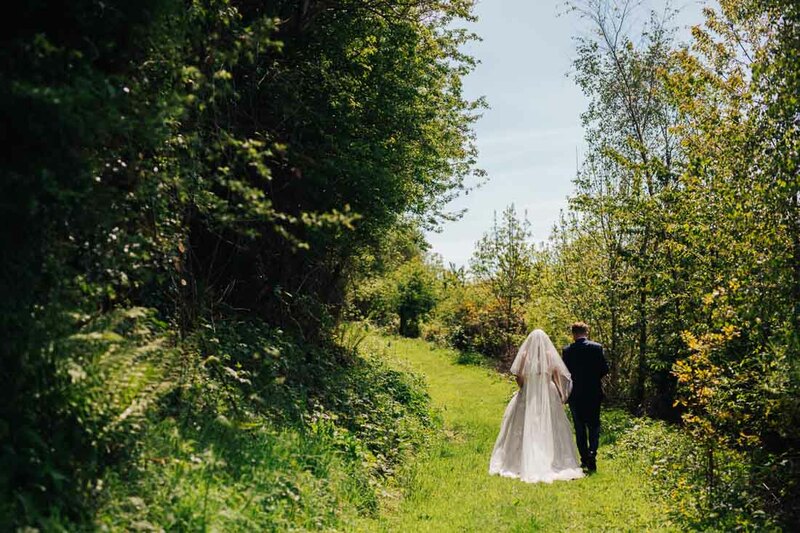 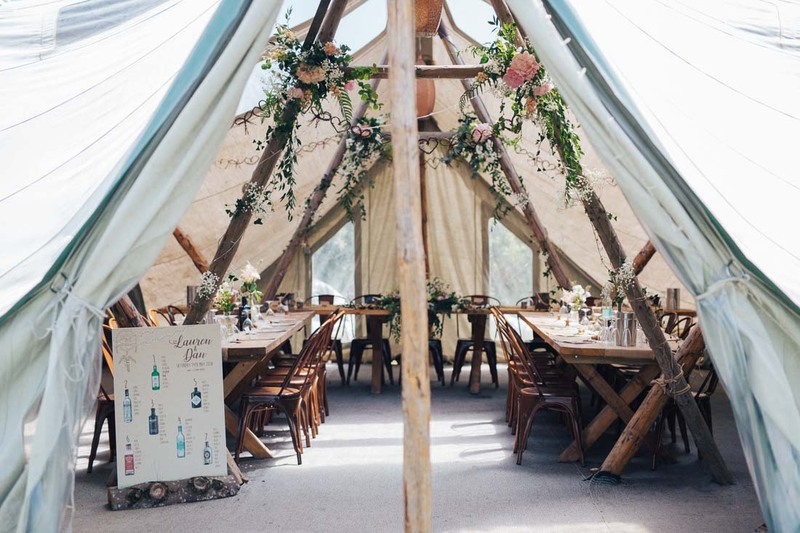 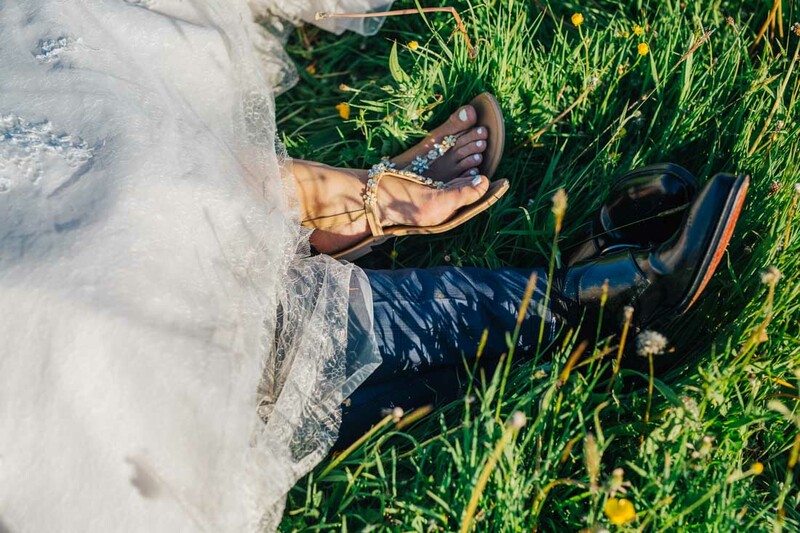 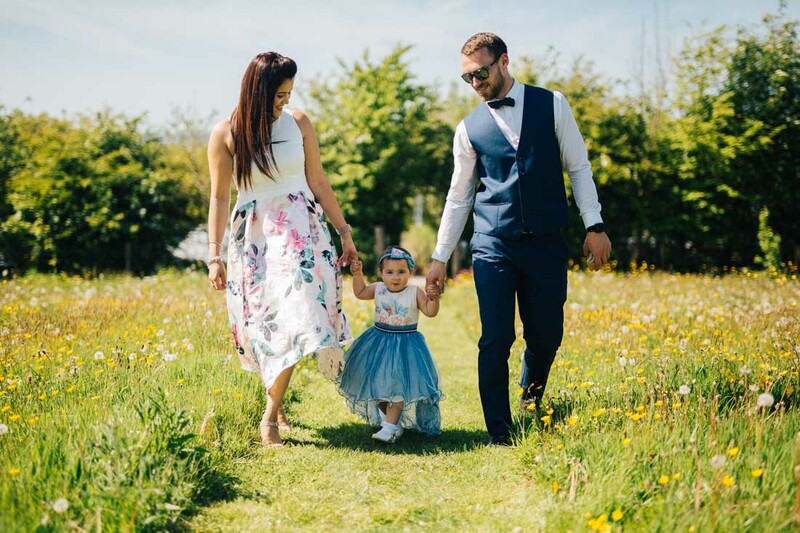 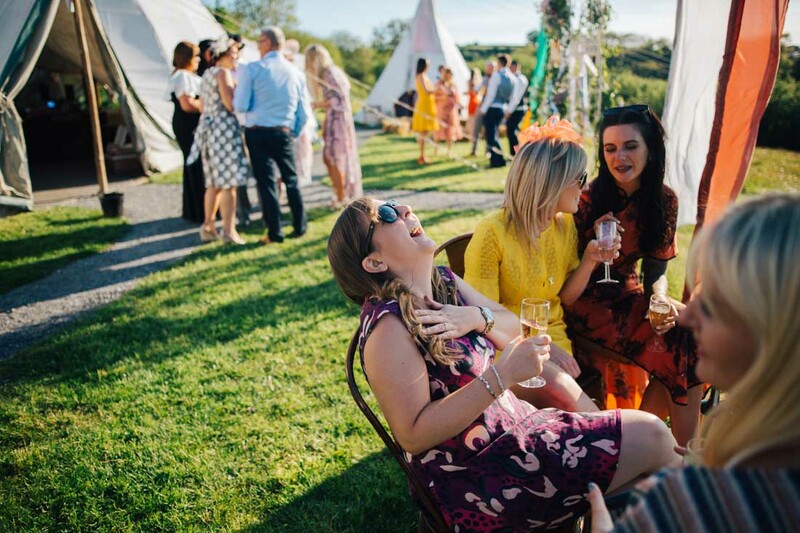 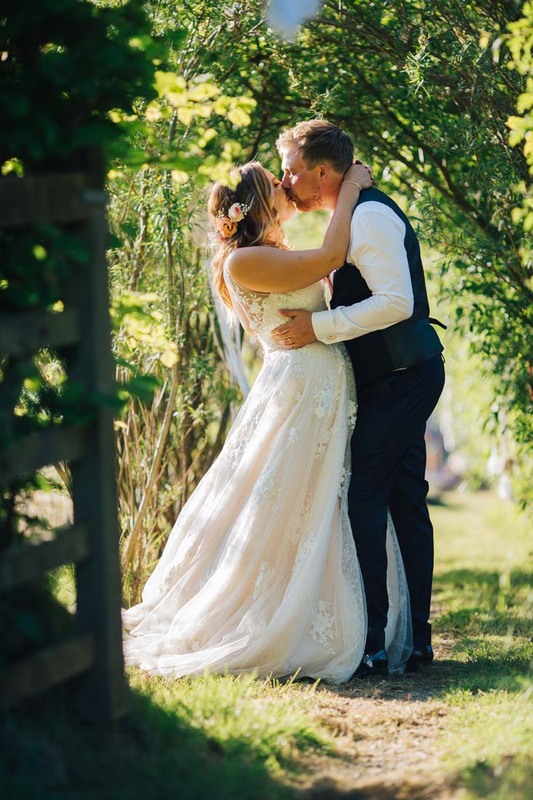 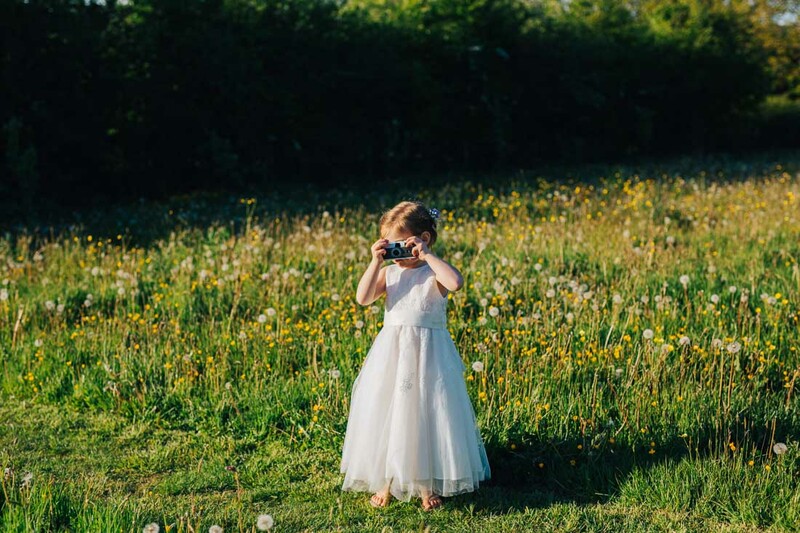 The Ceridwen Centre, otherwise known as Welsh Green Weddings, is deep in the heart of Carmarthenshire on Penybanc Farm with views stretching as far as the eye can see. 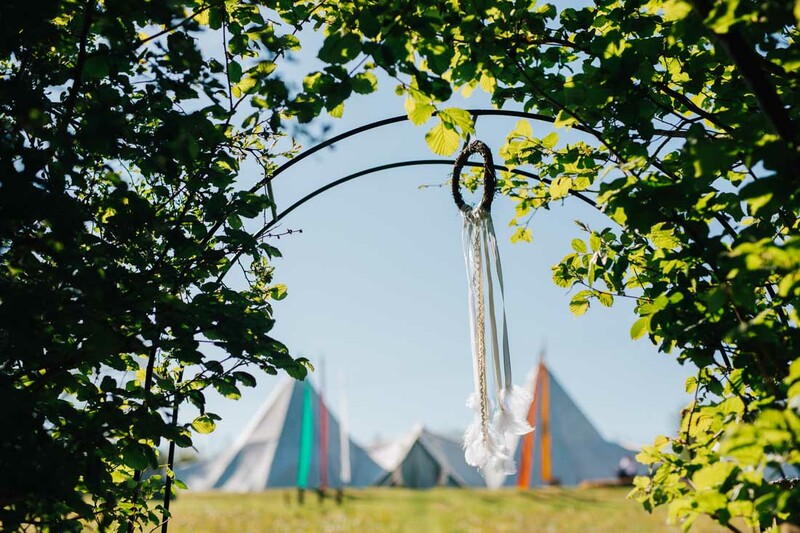 It has quaint gypsy wagons, bell tents and yurts, compost latrines and meadows full of wild flowers and dandelions. 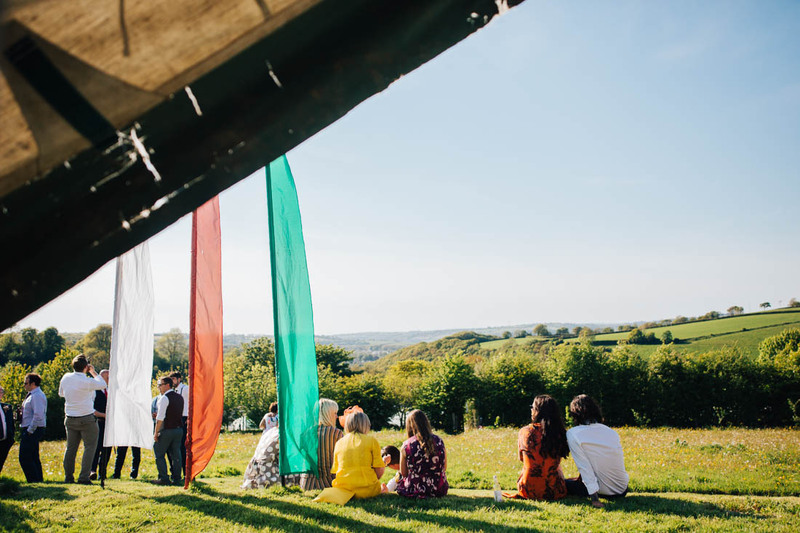 Entering the farm is like taking a deep breath of fresh air as it is the most relaxing place to be. 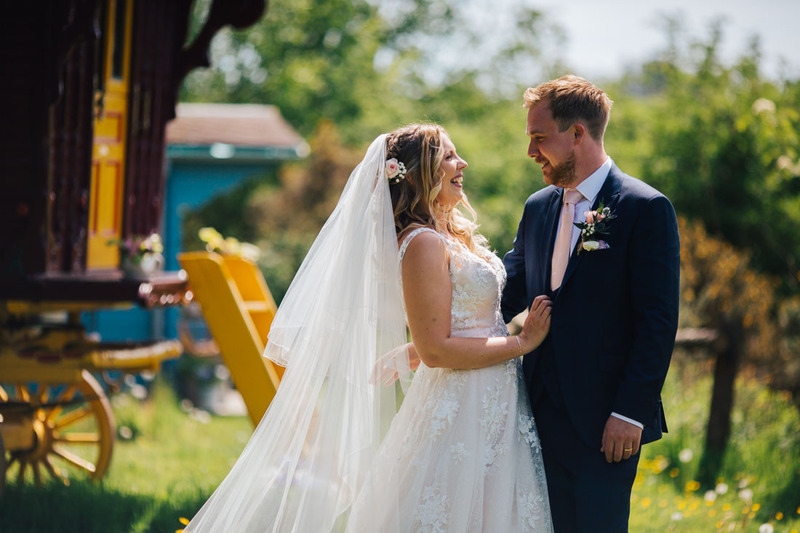 The ceremony took place in the outdoor pagoda and was emotional, sweet and personal. 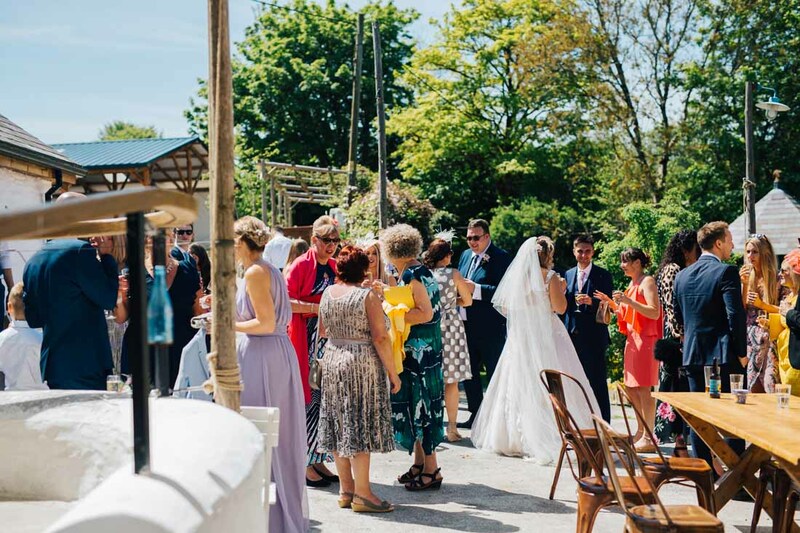 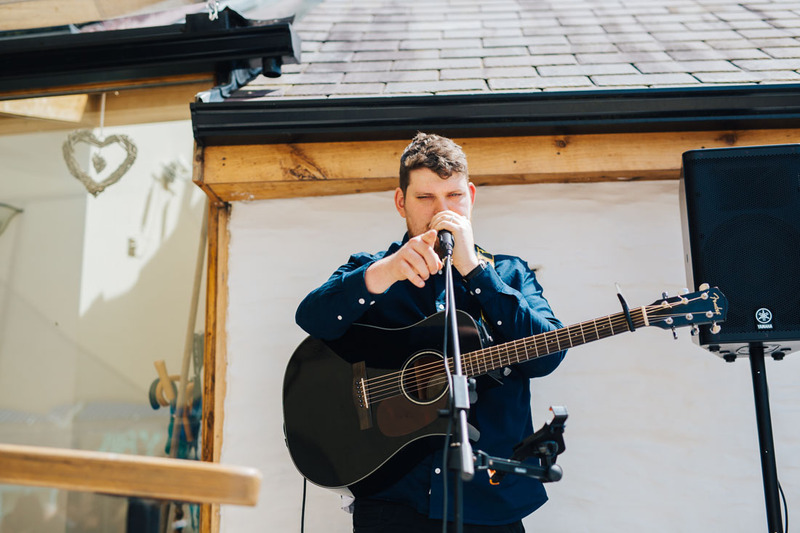 After being covered in confetti, everyone chatted in the sunshine over drinks whilst being serenaded by Arthur Bryn on guitar. 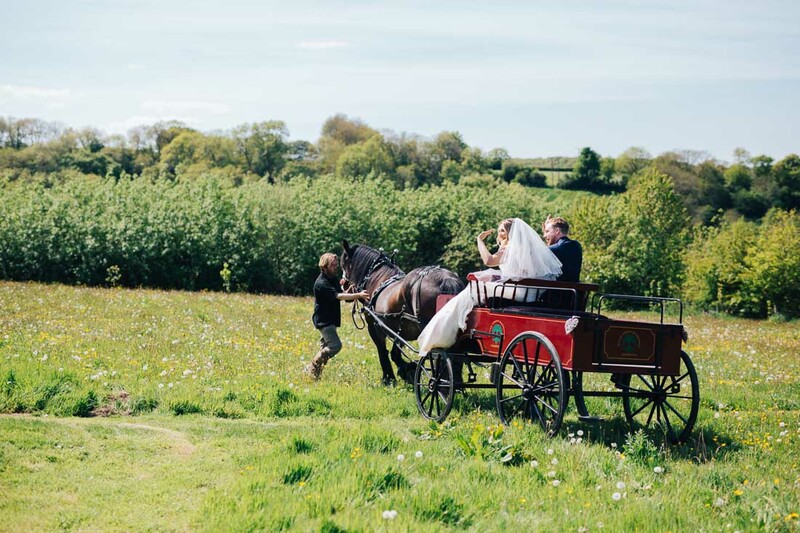 We went for a little walk up to the gypsy wagons, so they could catch their breath and have a quiet moment together. 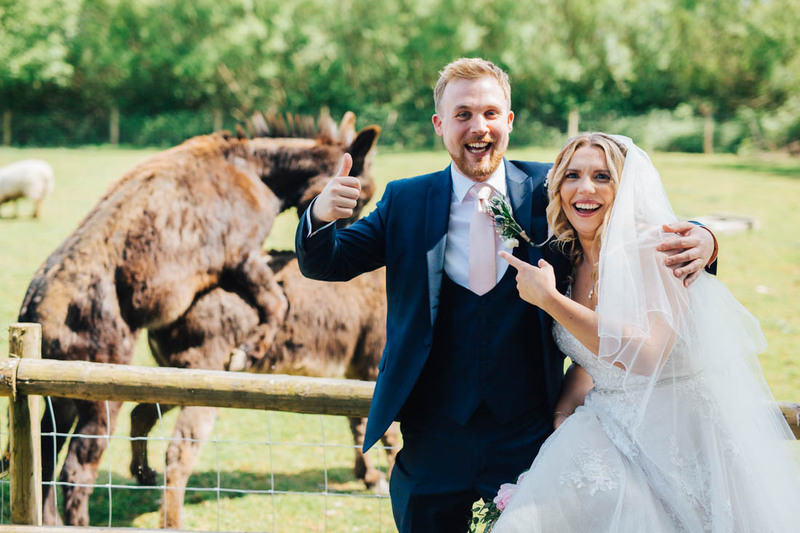 They got more than they bargained for with the donkeys on the way back! 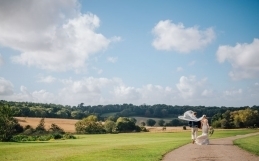 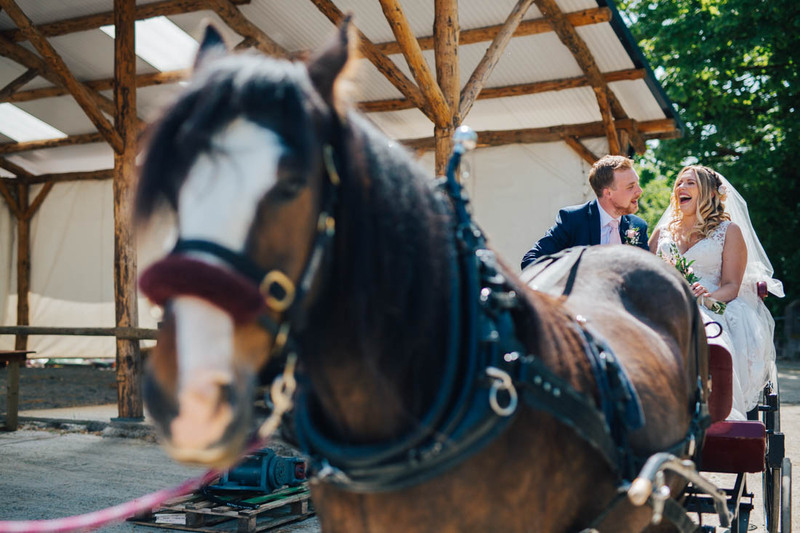 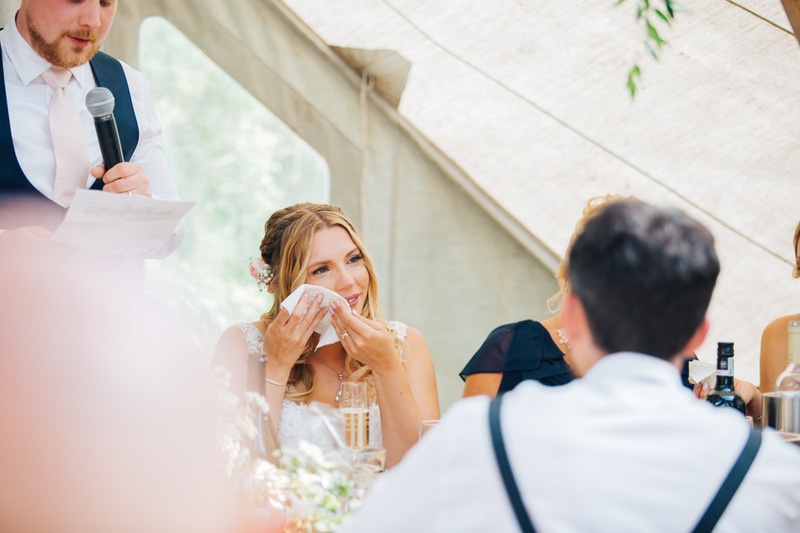 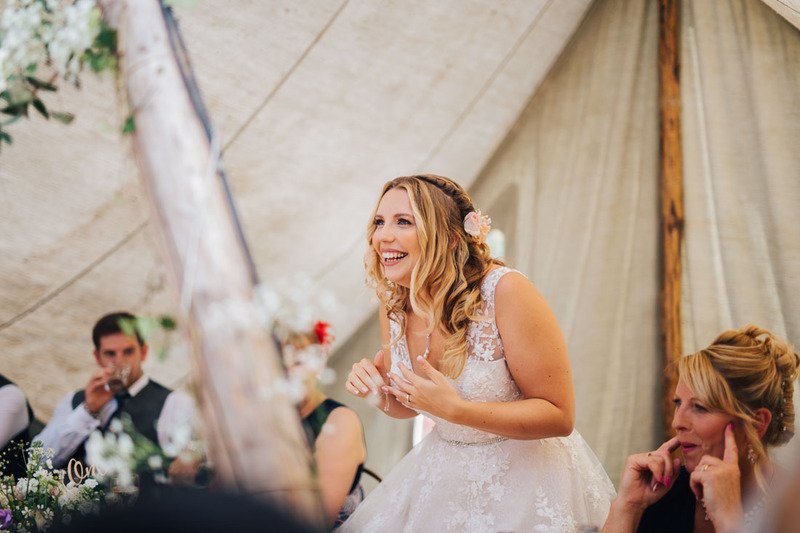 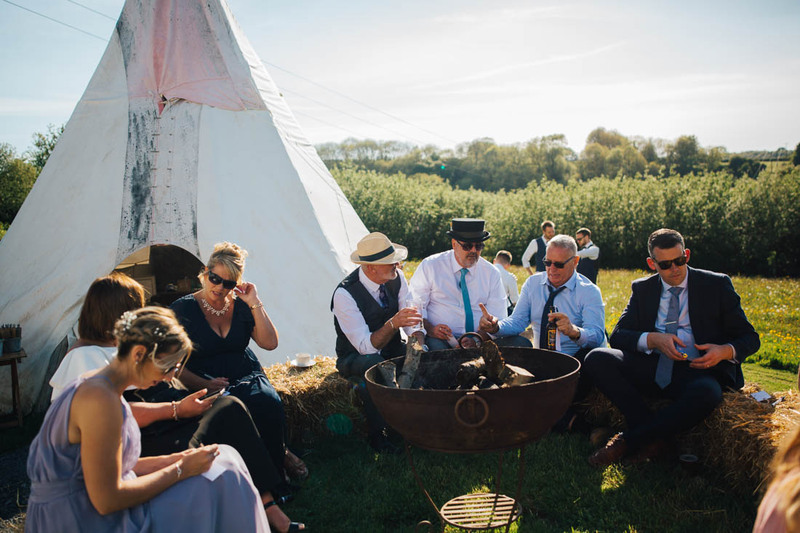 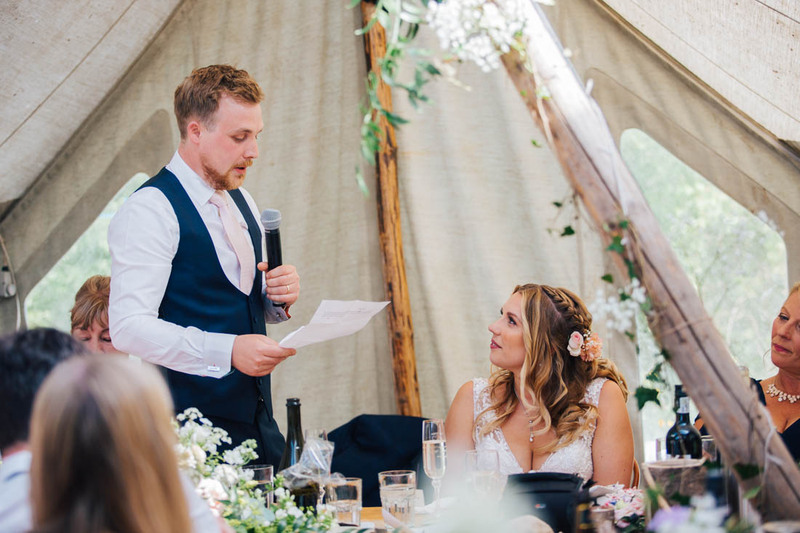 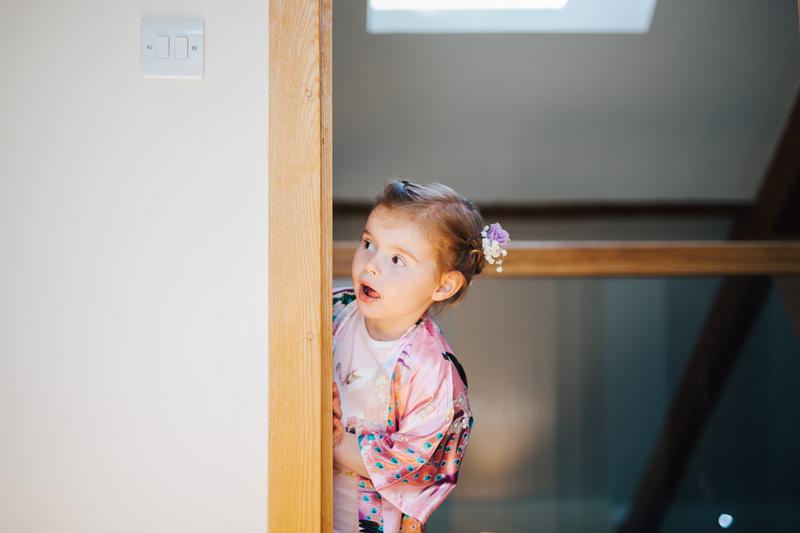 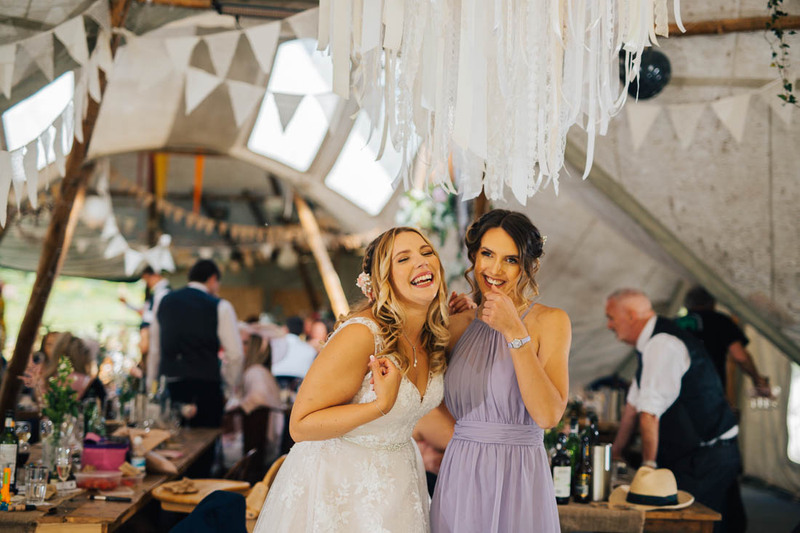 Before rejoining their guests they climbed aboard a horse and carriage which took them up to the reception tipi – a surprise from their guests. 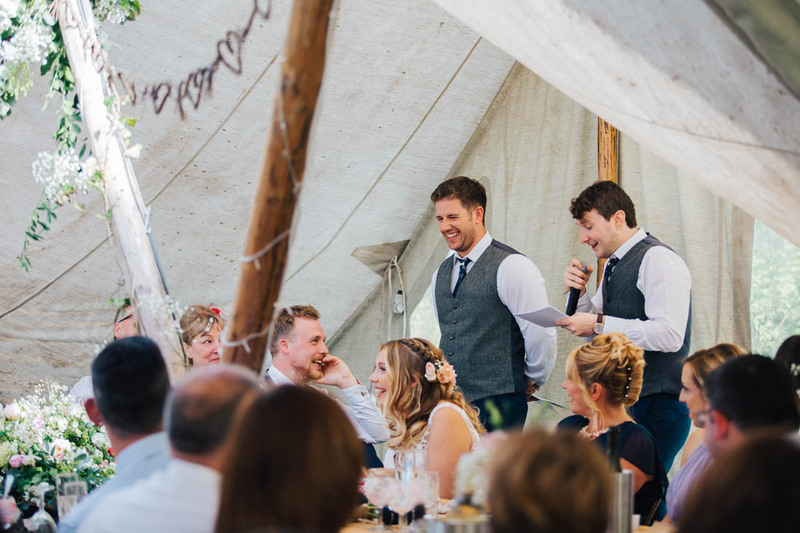 The speeches were hilarious and heartfelt and had everyone roaring with laughter and wiping away tears. 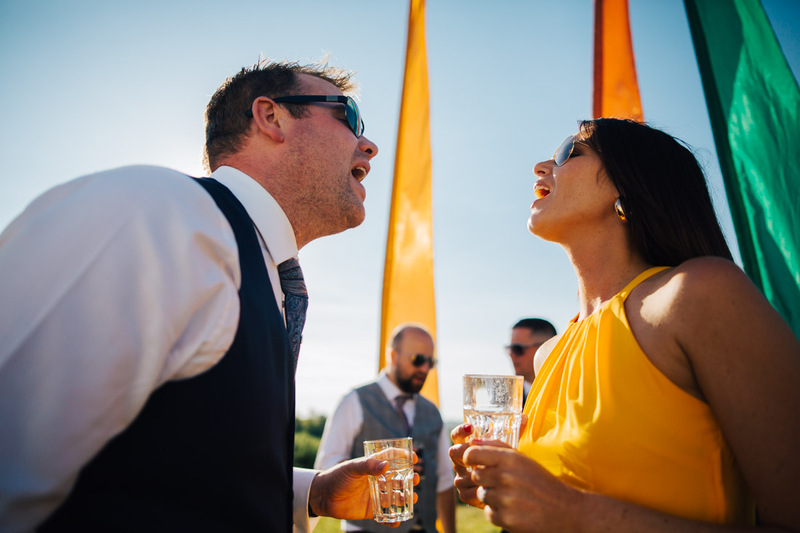 The merriment continued as the sun went down casting the most perfect orange glow across the land.